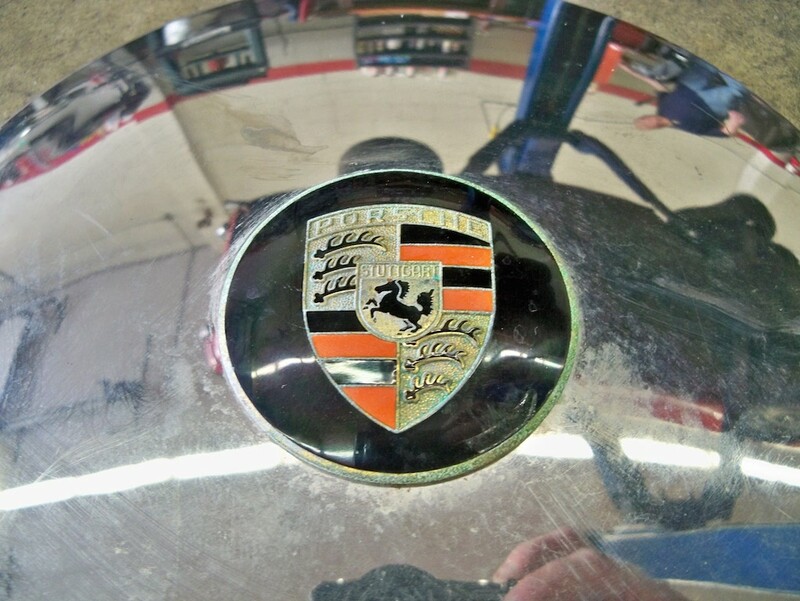 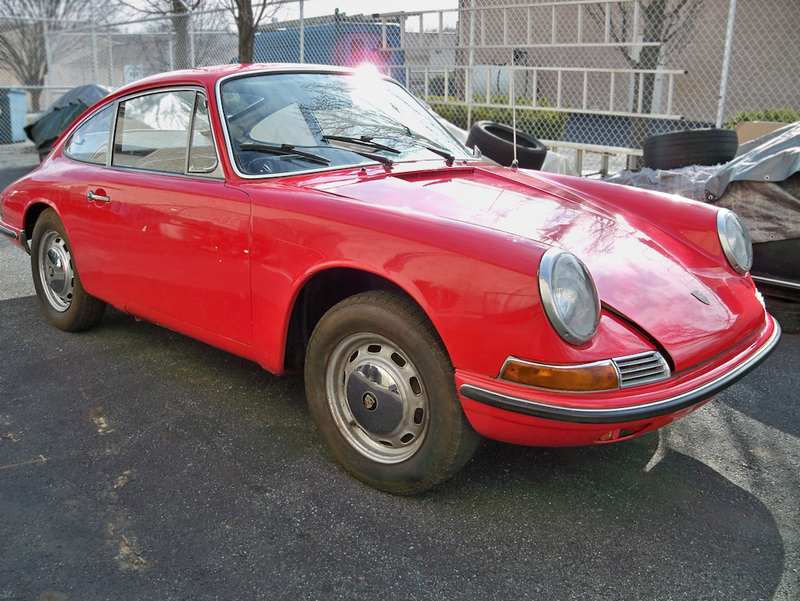 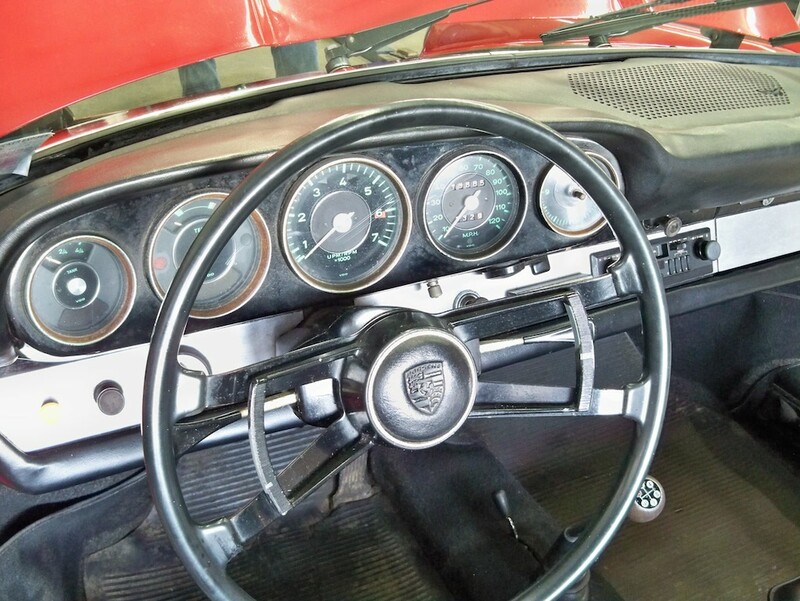 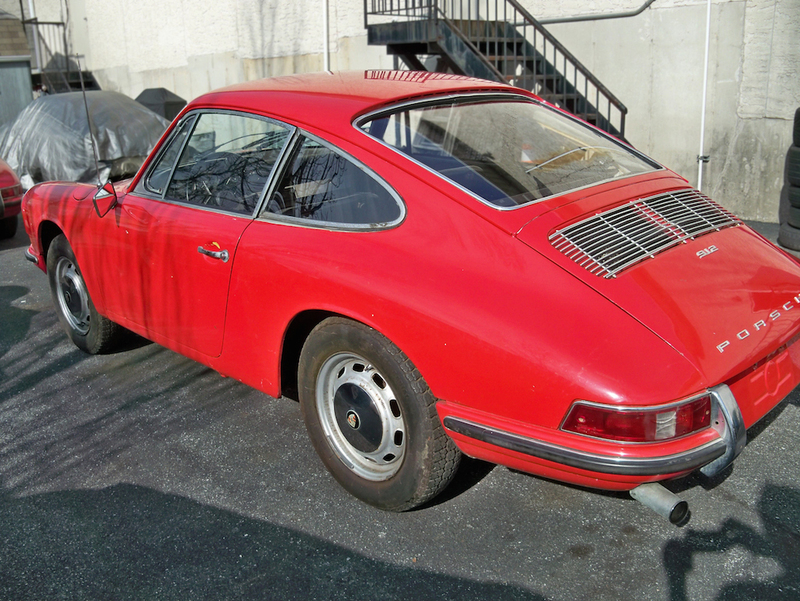 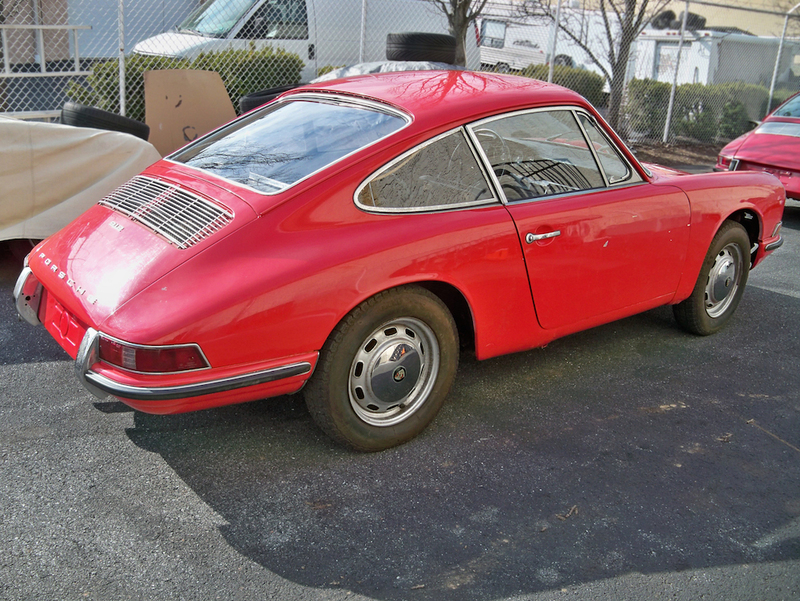 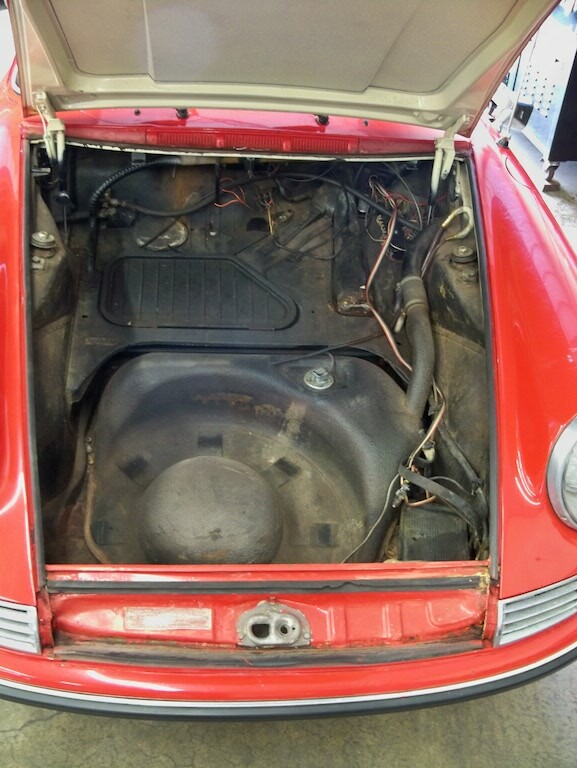 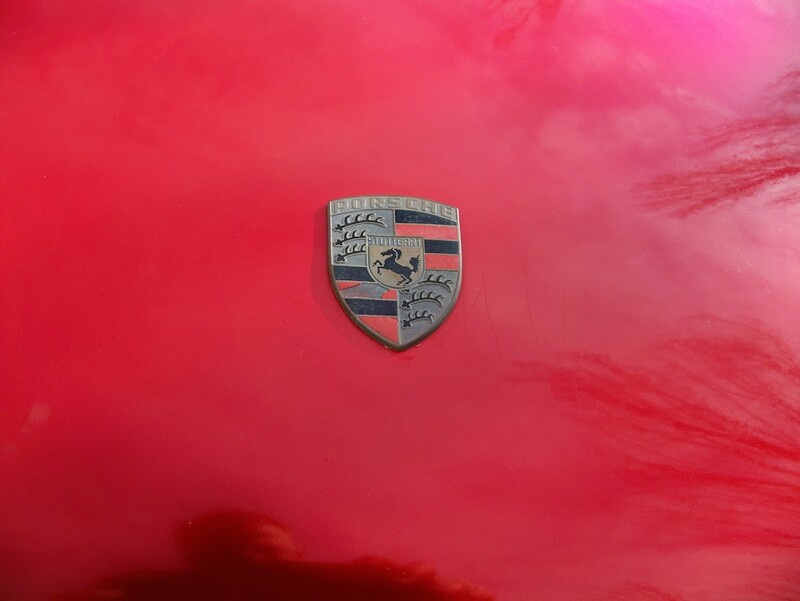 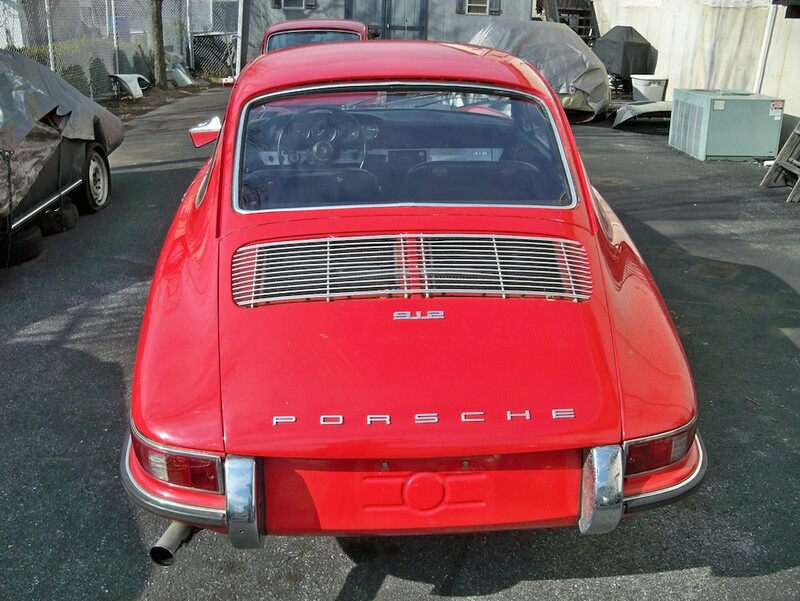 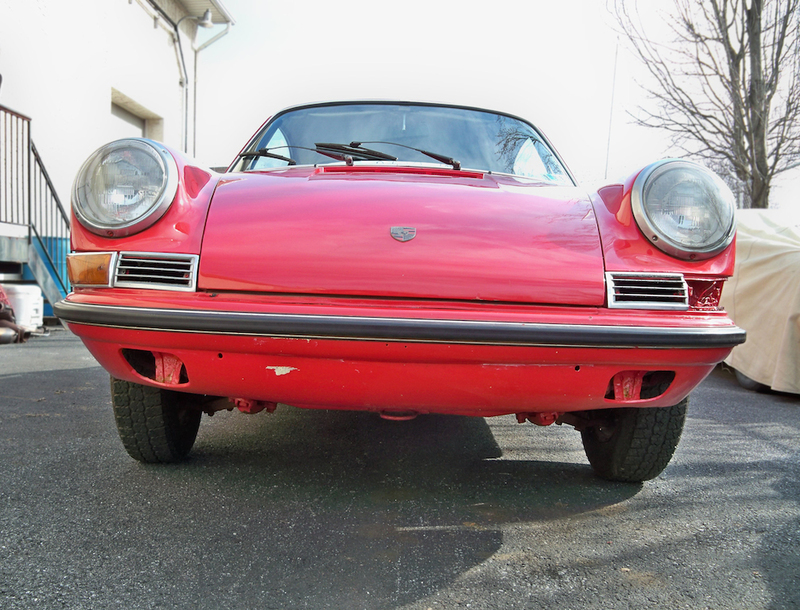 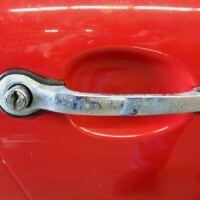 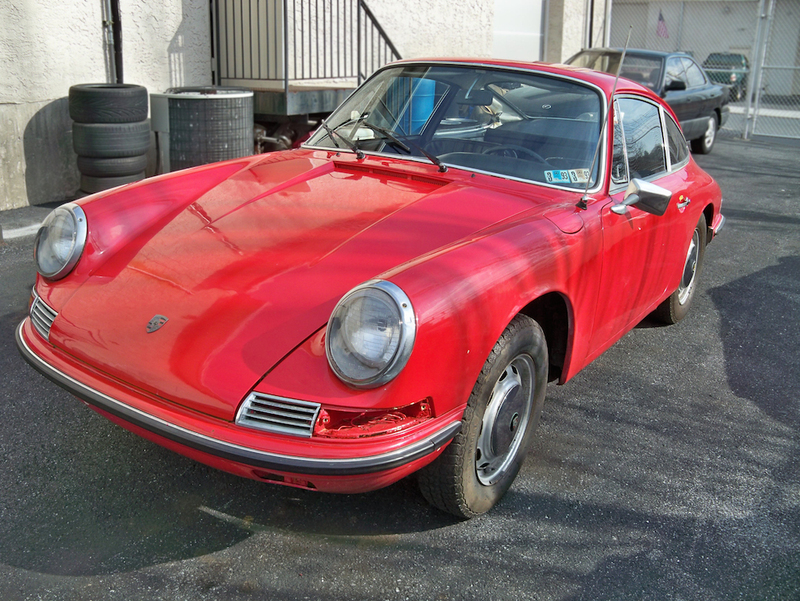 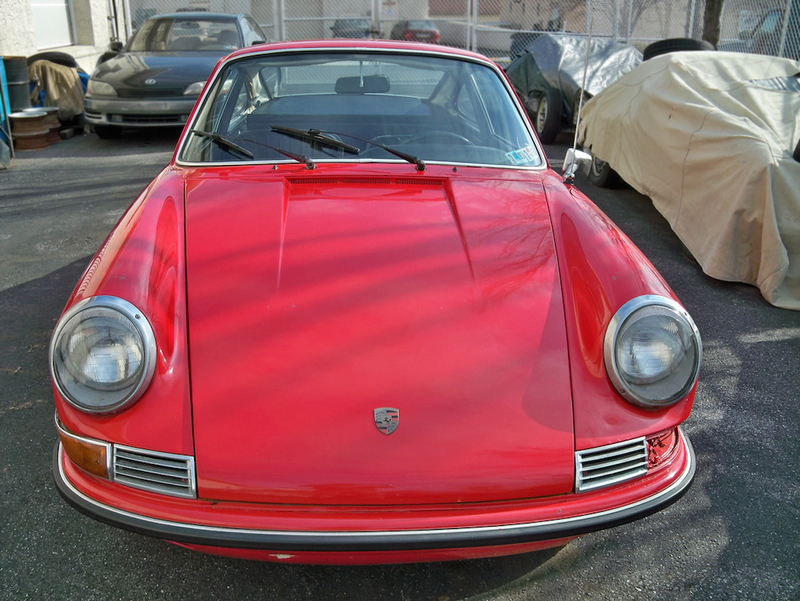 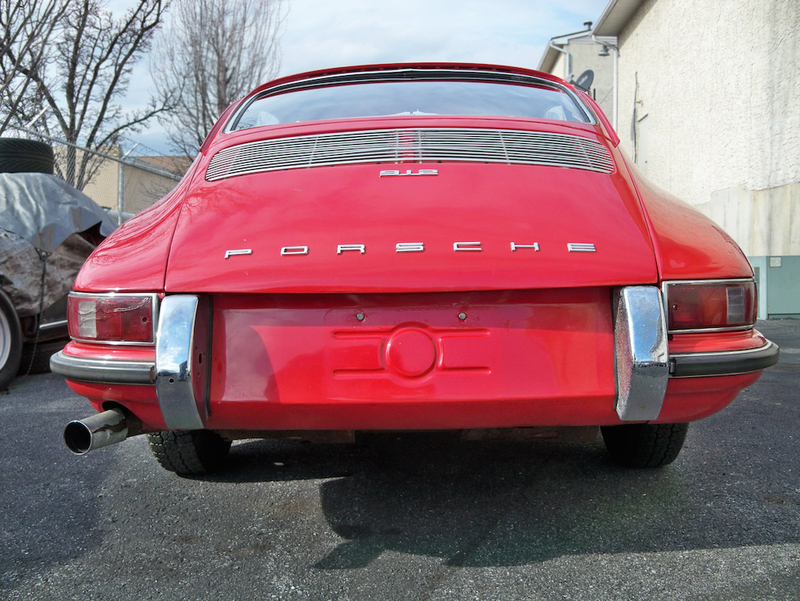 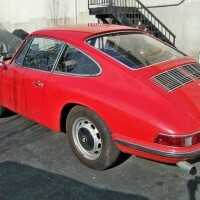 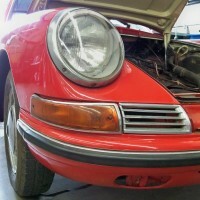 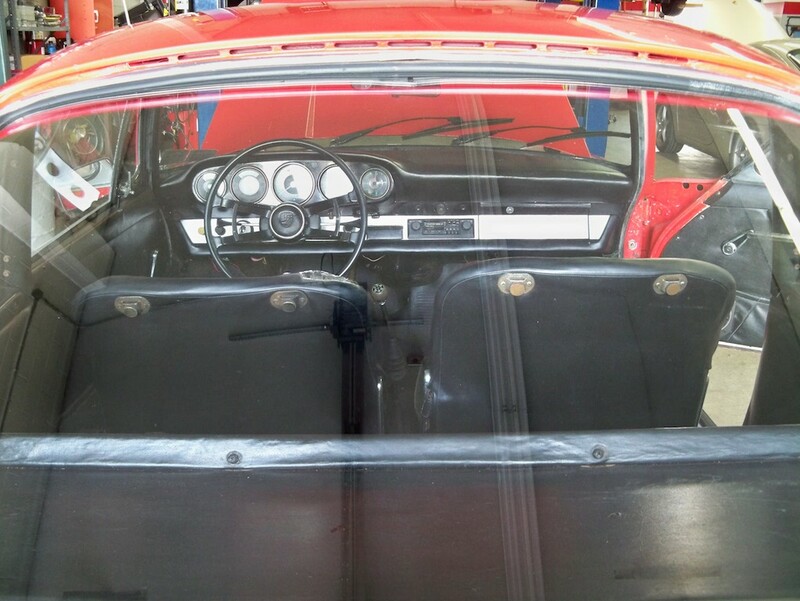 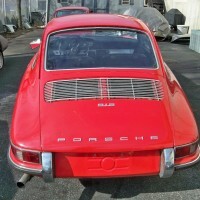 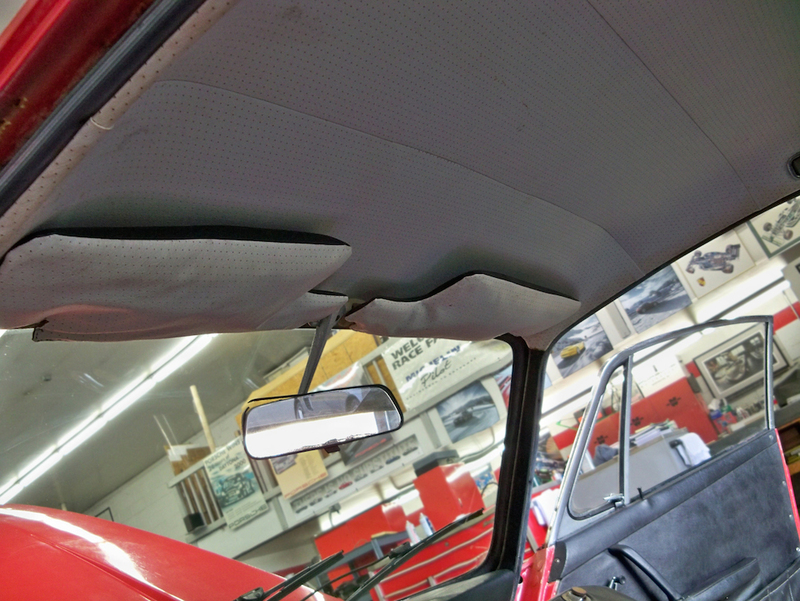 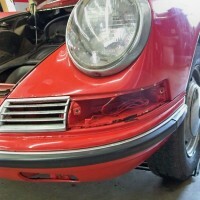 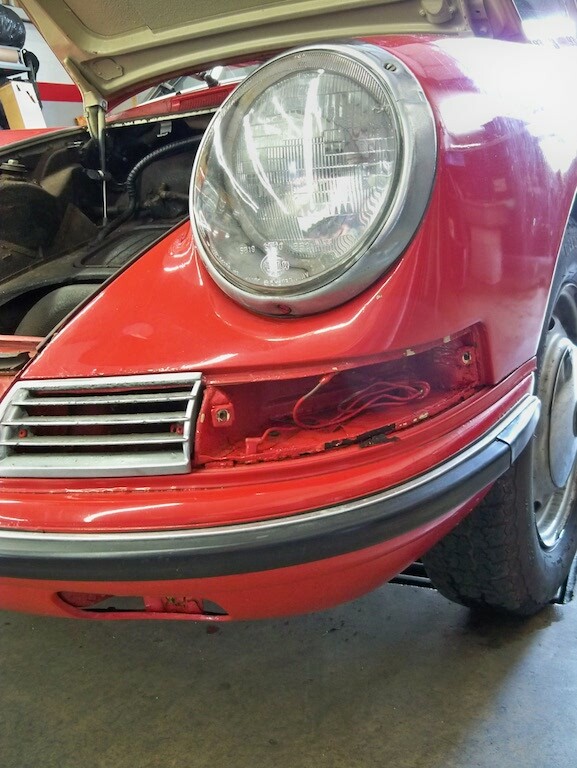 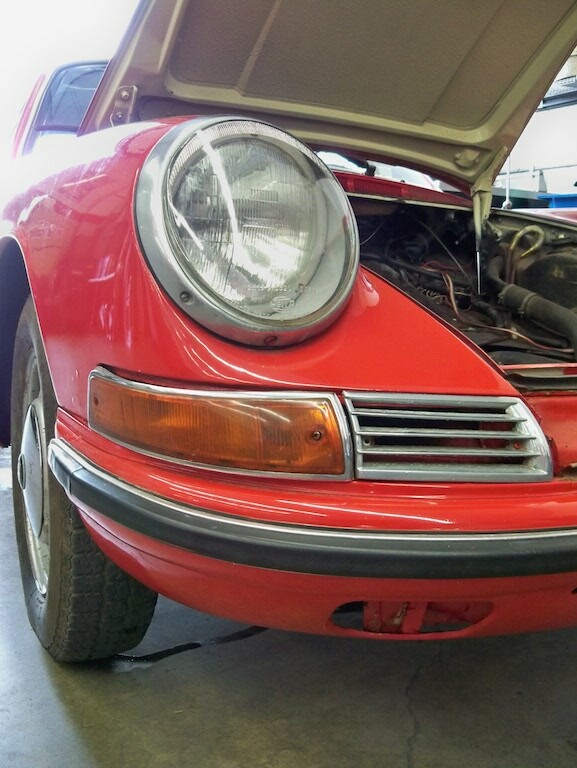 1967 Porsche 912 » Specialty Cars Service Center, Inc.
1967 Porsche 912, Red with black vinyl interior (original color was sand beige as per Kardex). 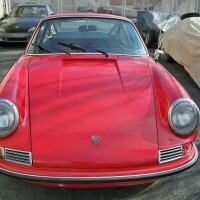 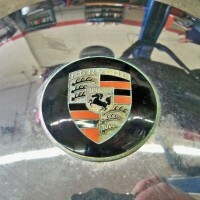 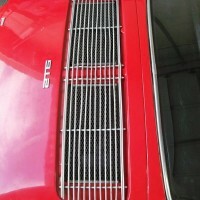 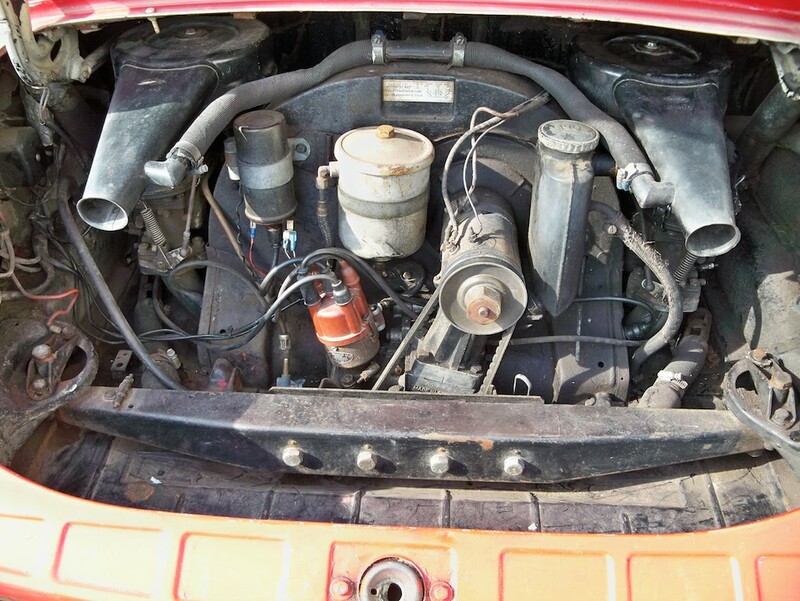 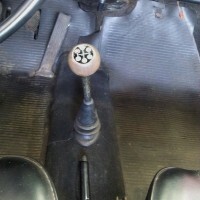 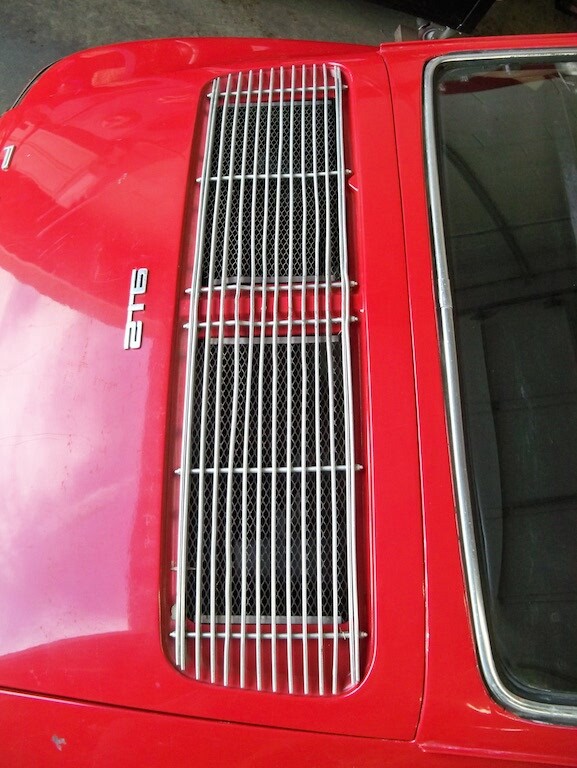 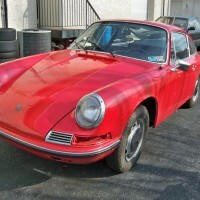 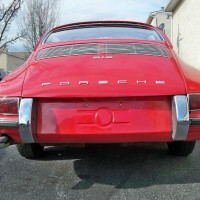 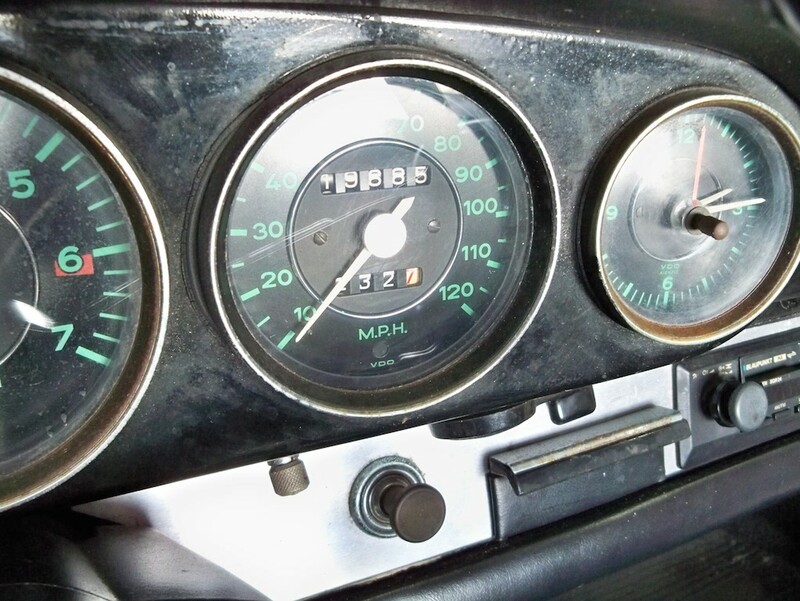 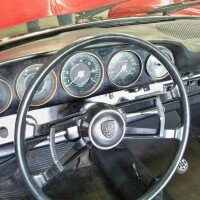 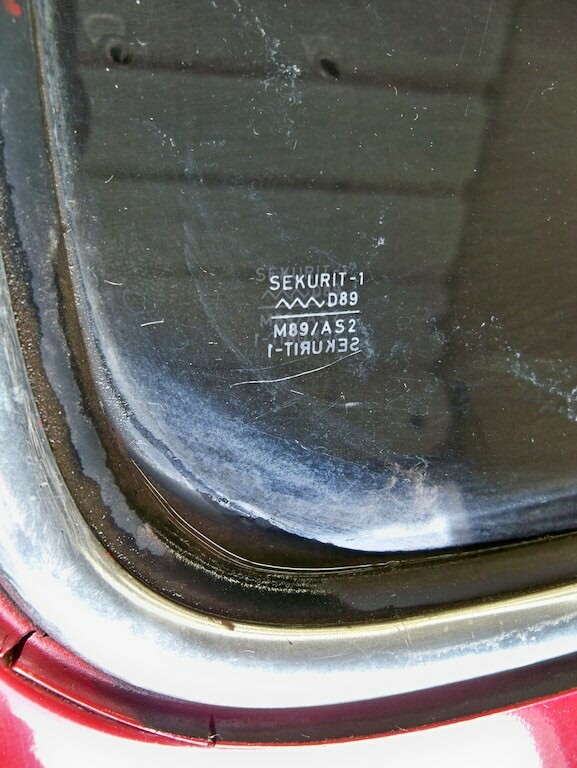 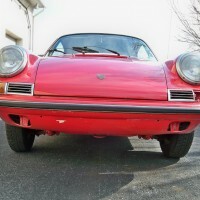 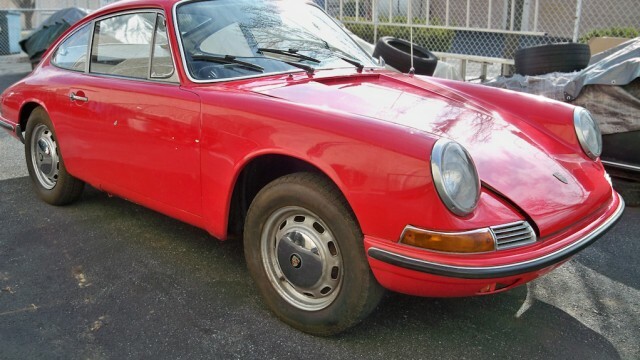 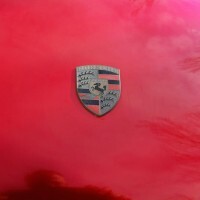 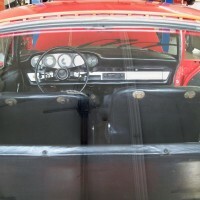 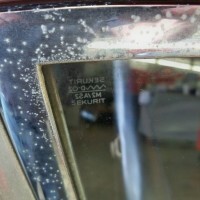 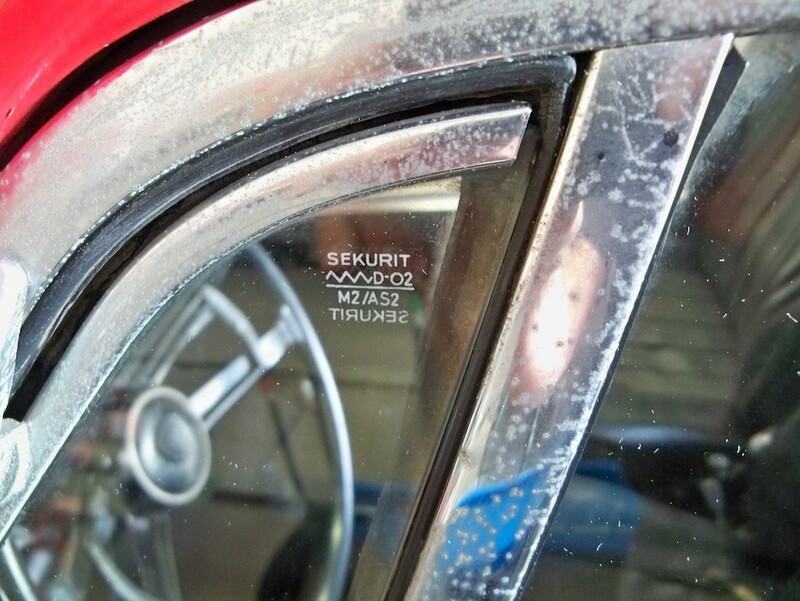 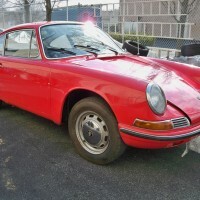 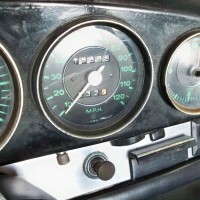 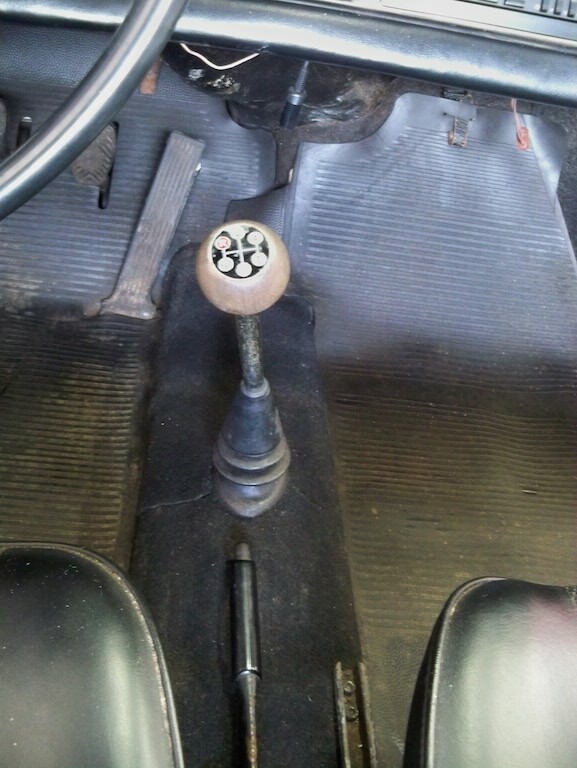 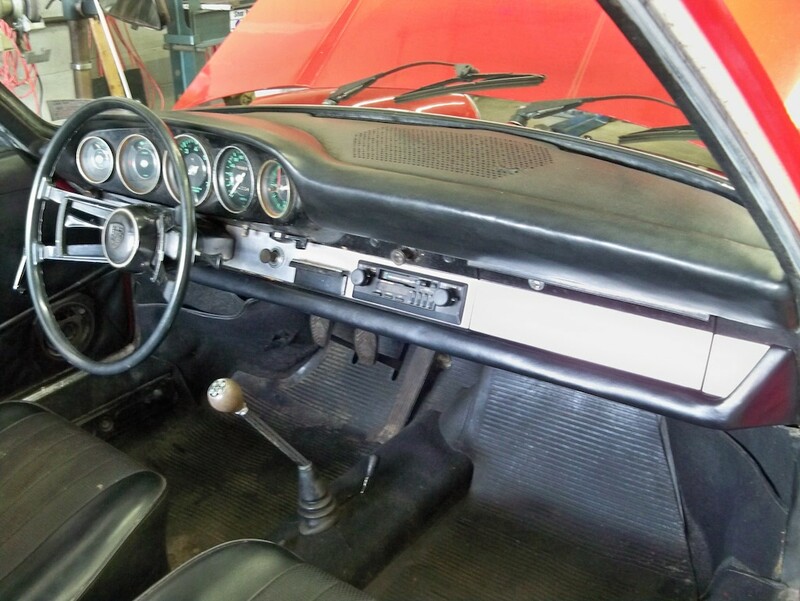 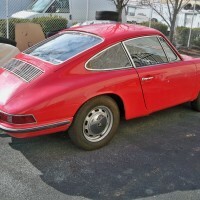 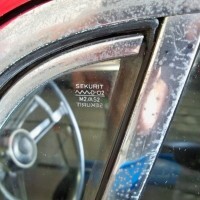 The car has a 1966 912 engine, numbered 747425, and a 901/03 5-speed 1968 911T special order transmission, numbered 2280626. 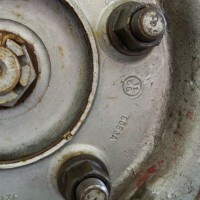 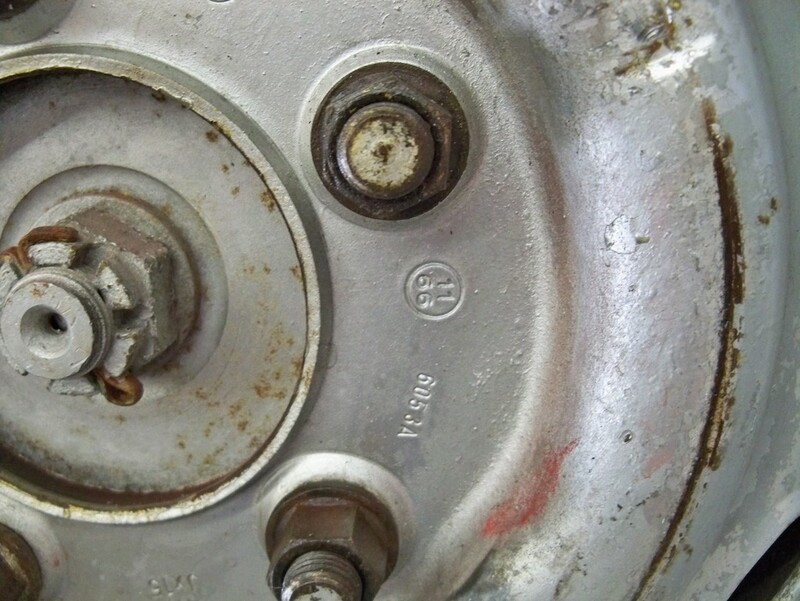 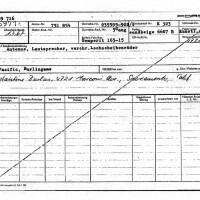 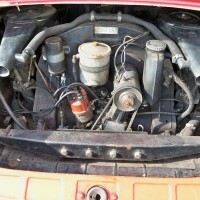 The engine turns over and runs, but the fuel system will need to be gone through. 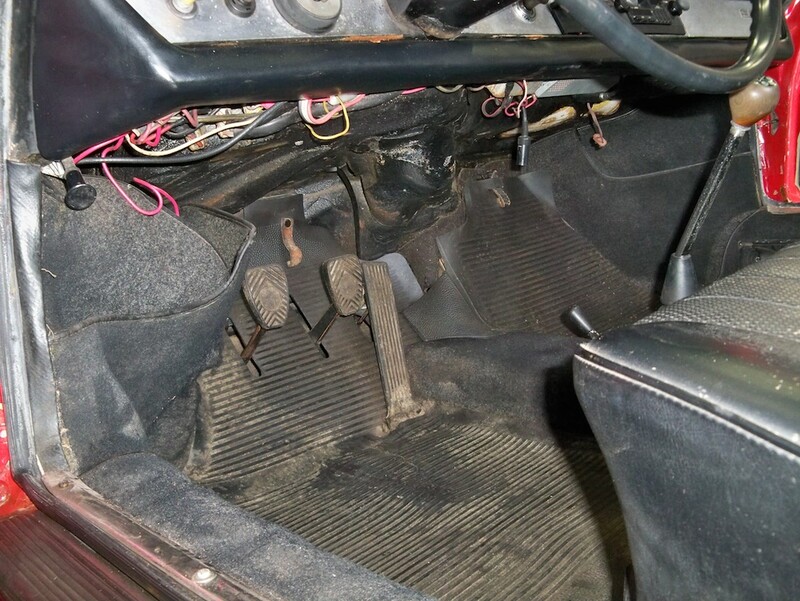 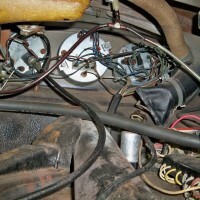 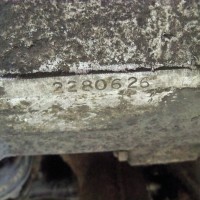 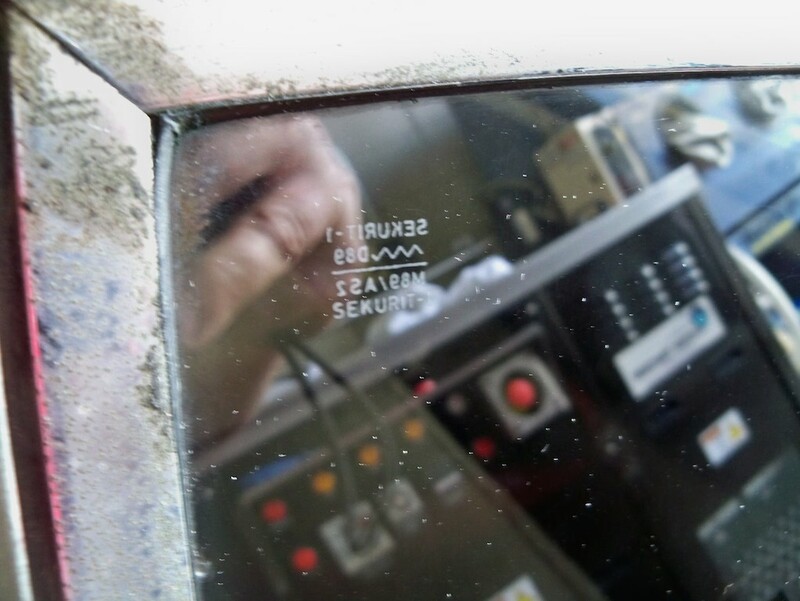 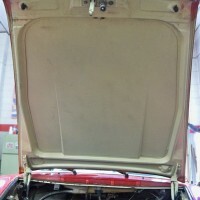 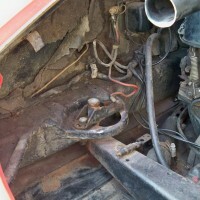 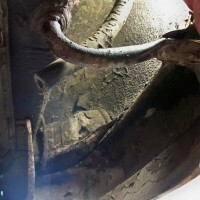 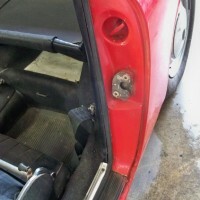 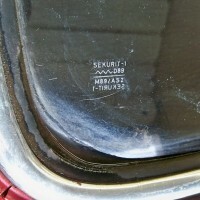 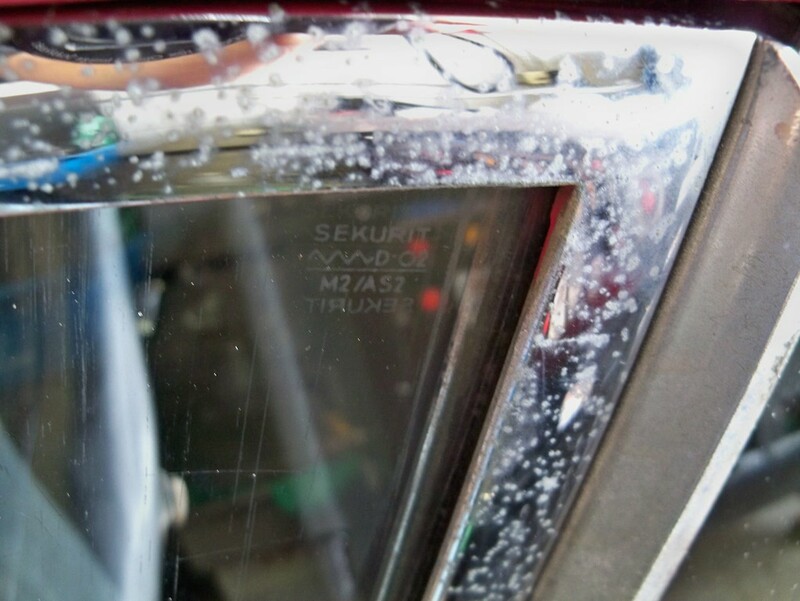 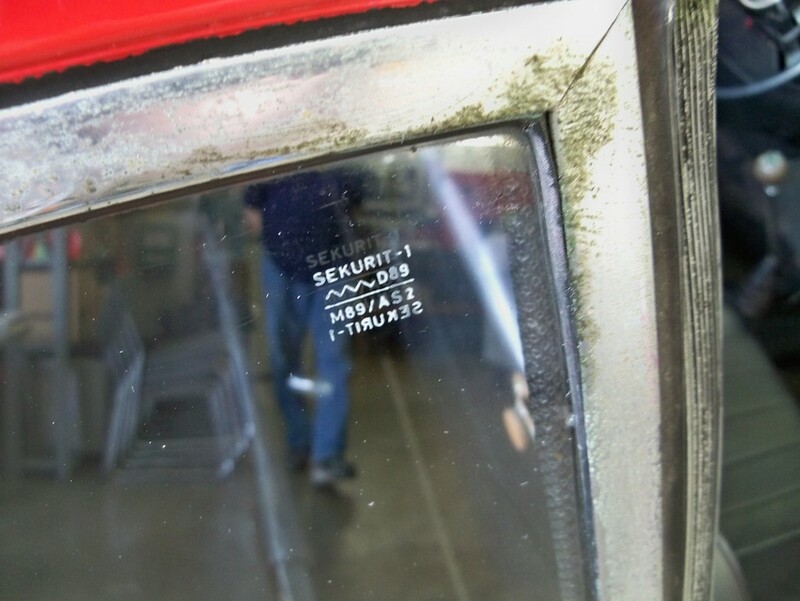 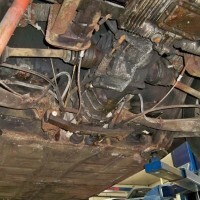 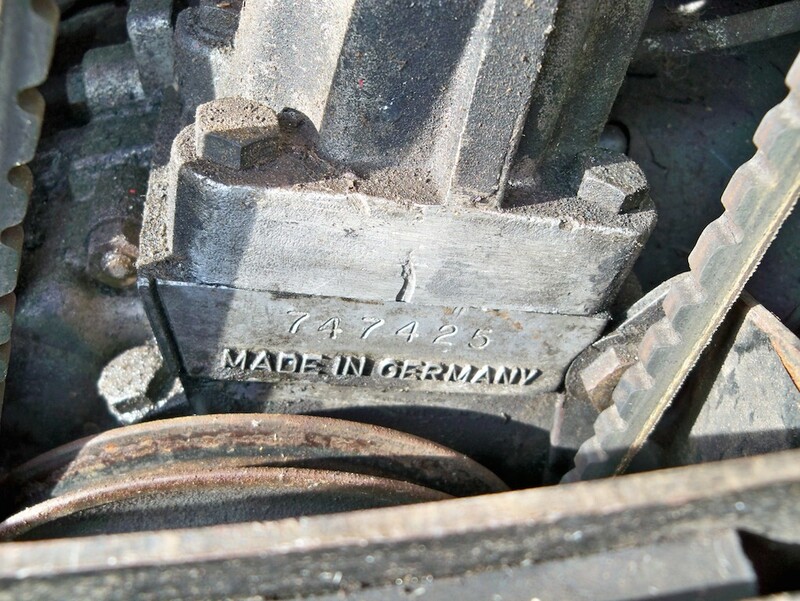 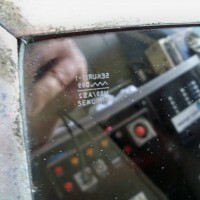 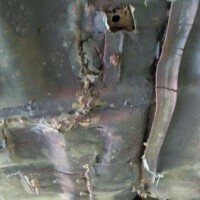 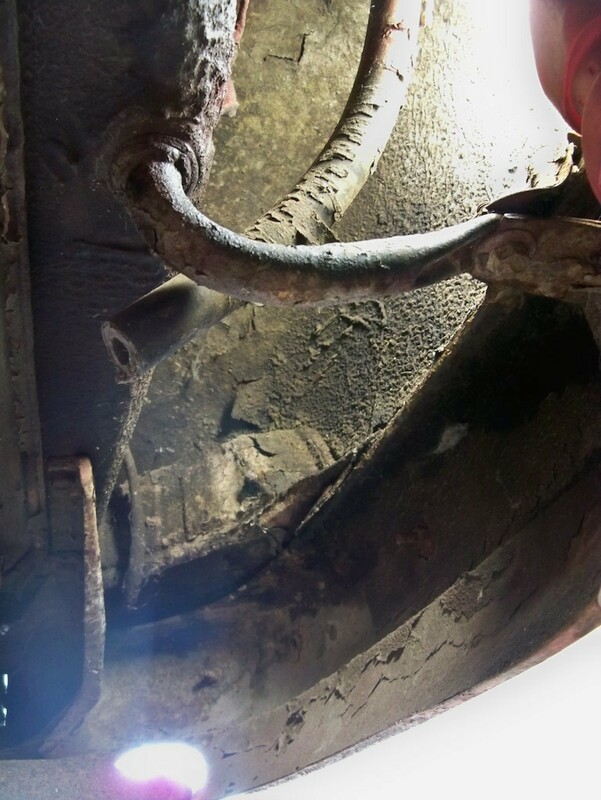 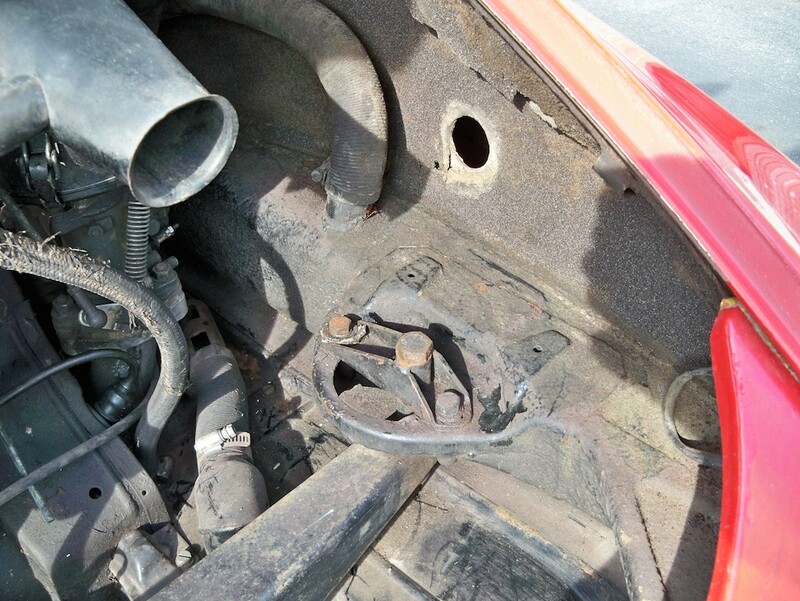 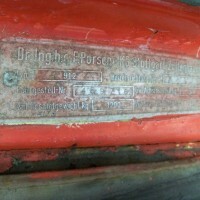 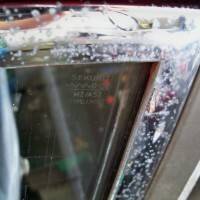 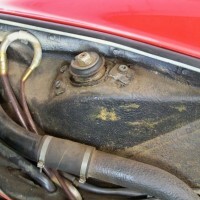 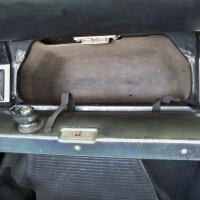 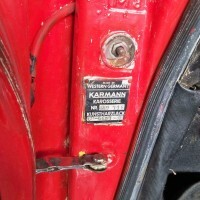 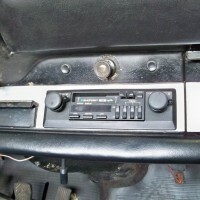 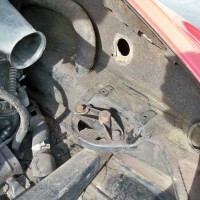 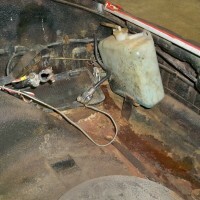 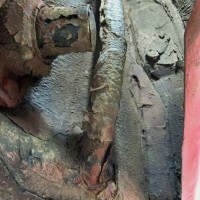 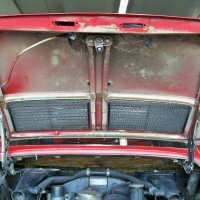 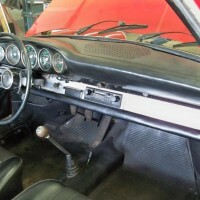 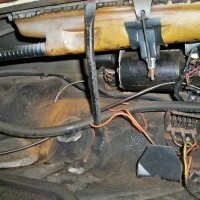 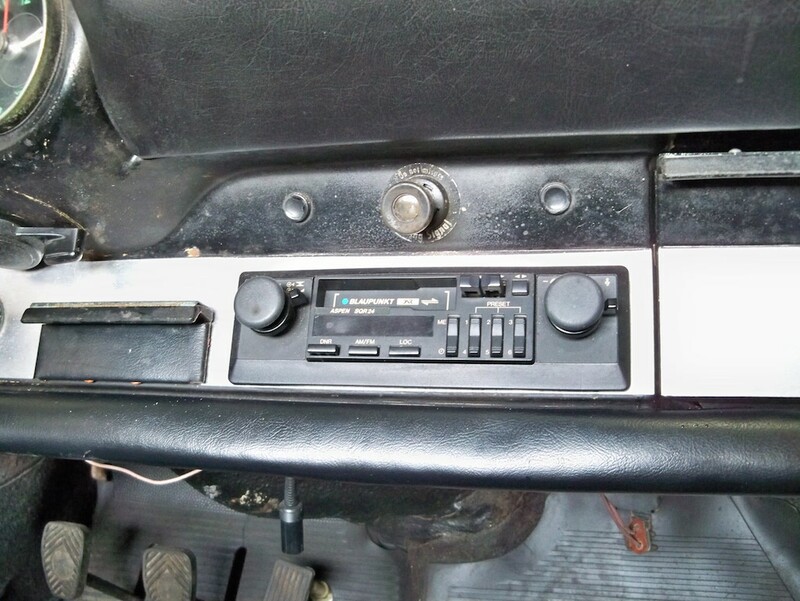 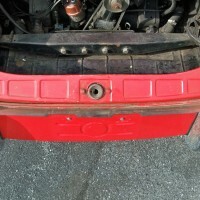 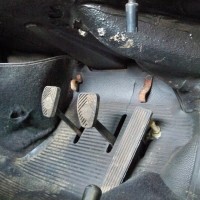 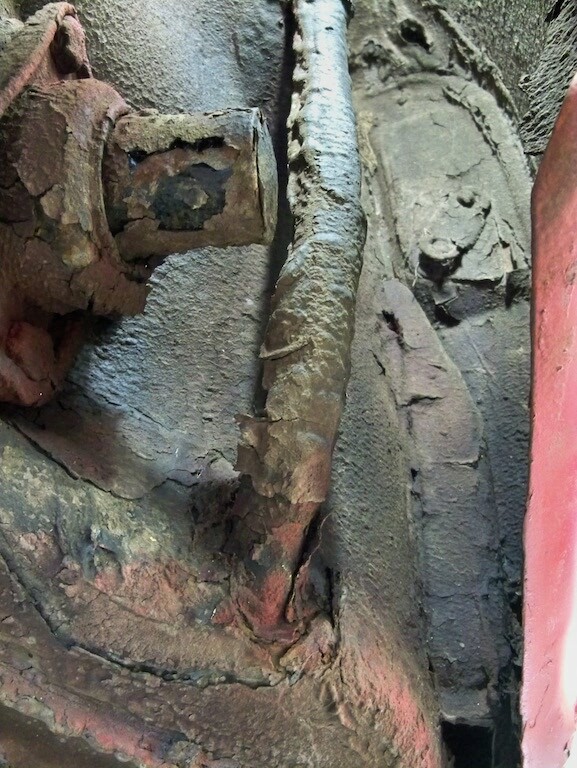 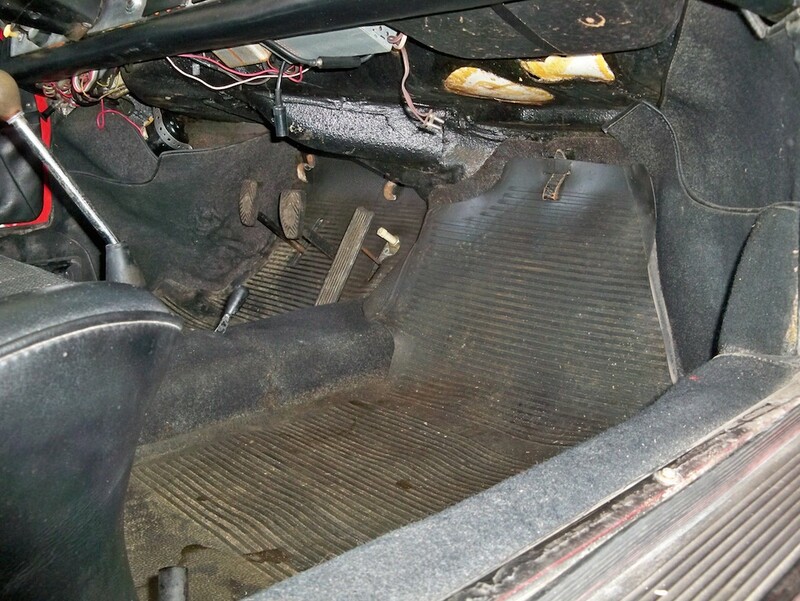 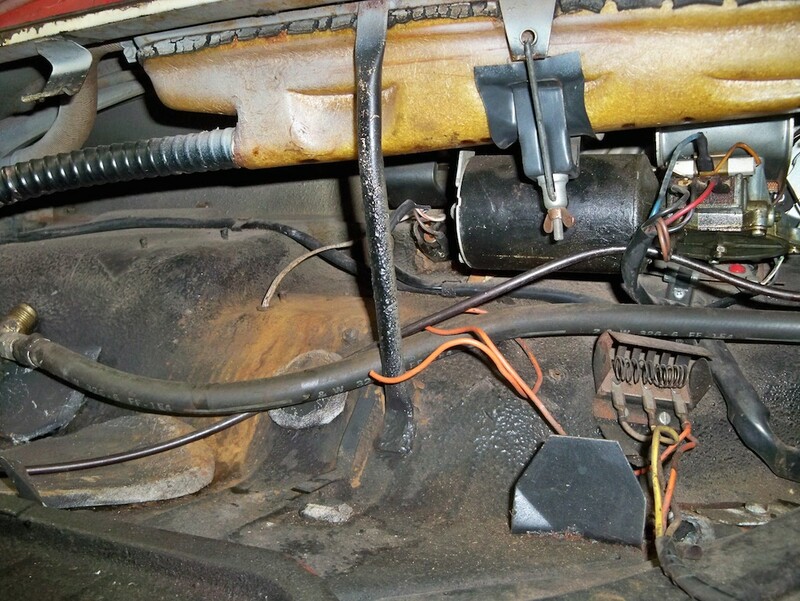 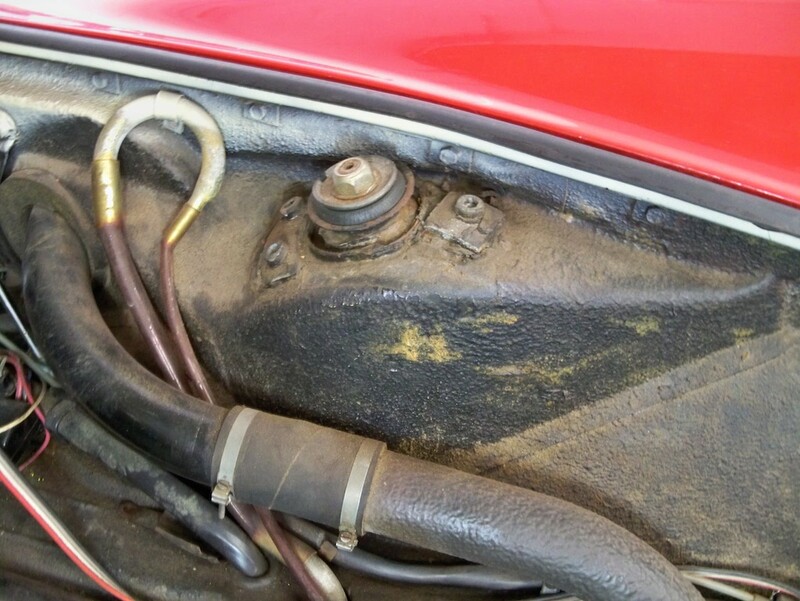 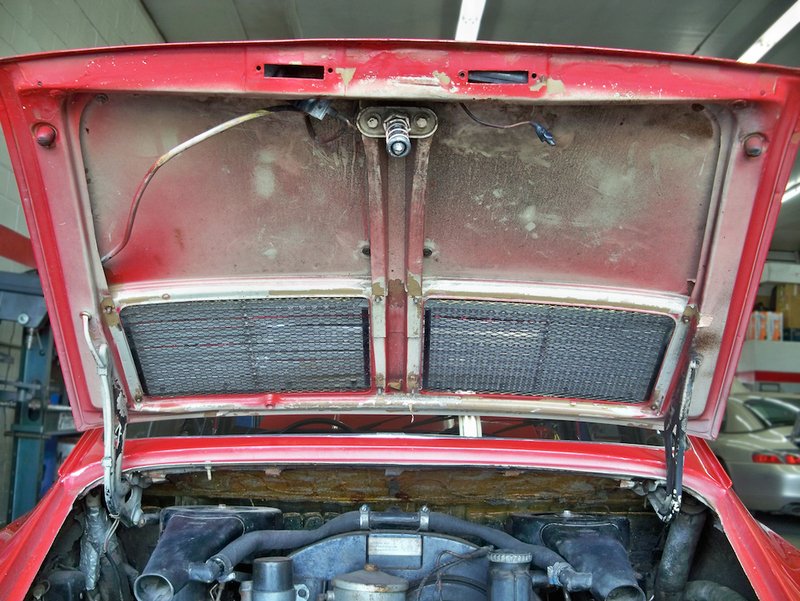 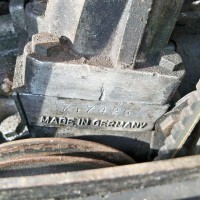 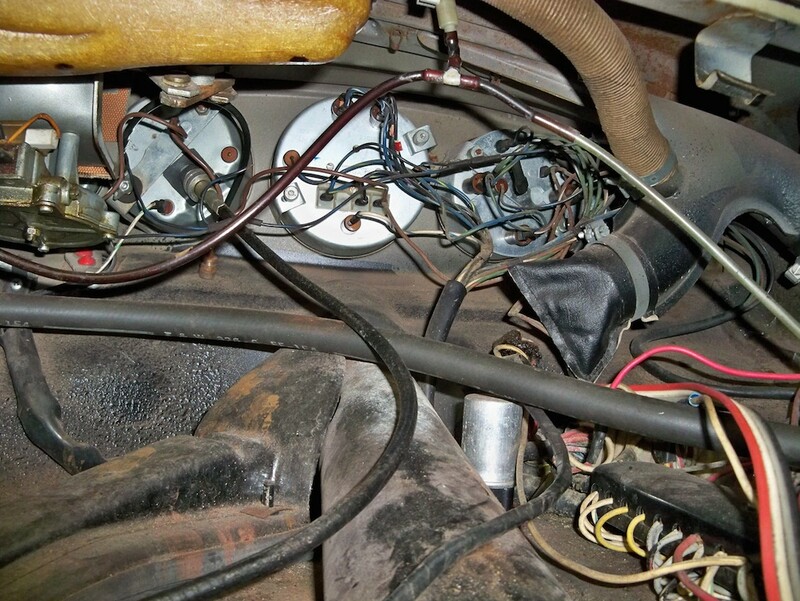 The car had air conditioning which has been removed, but some of the components are still on the car (shown in photos). 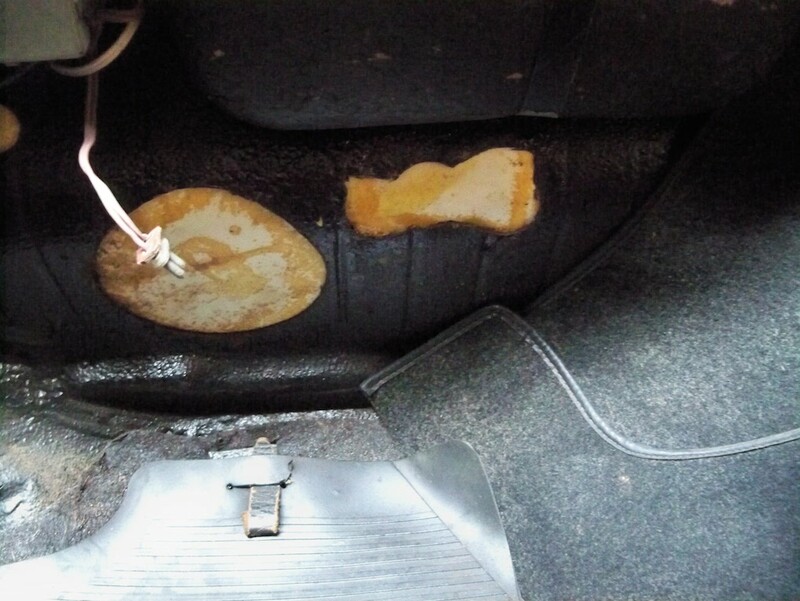 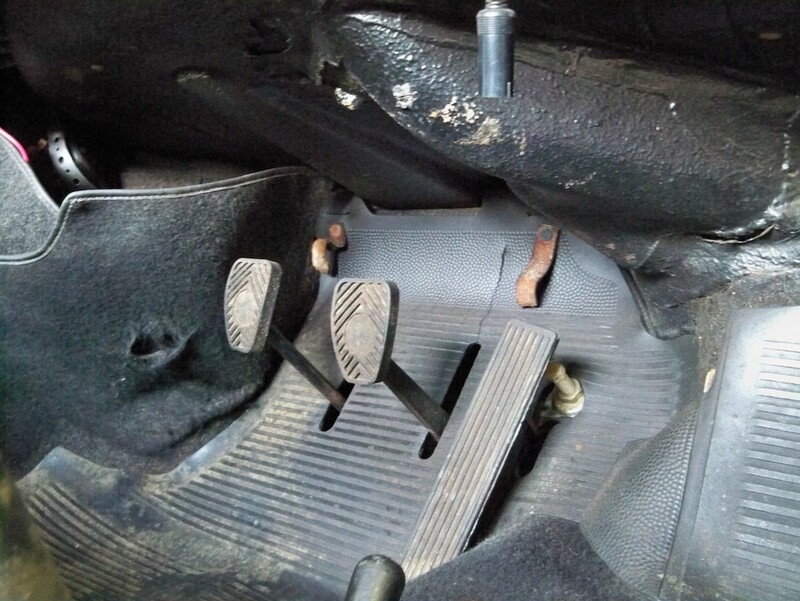 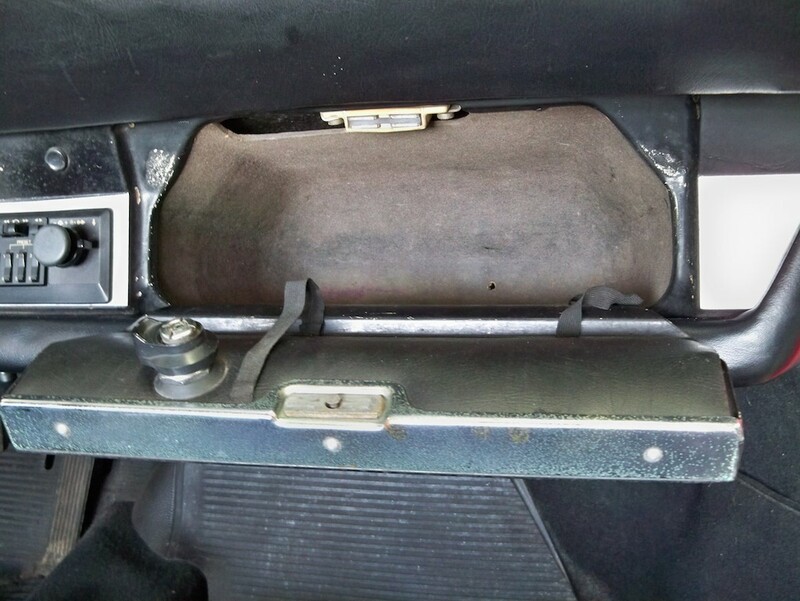 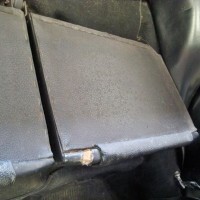 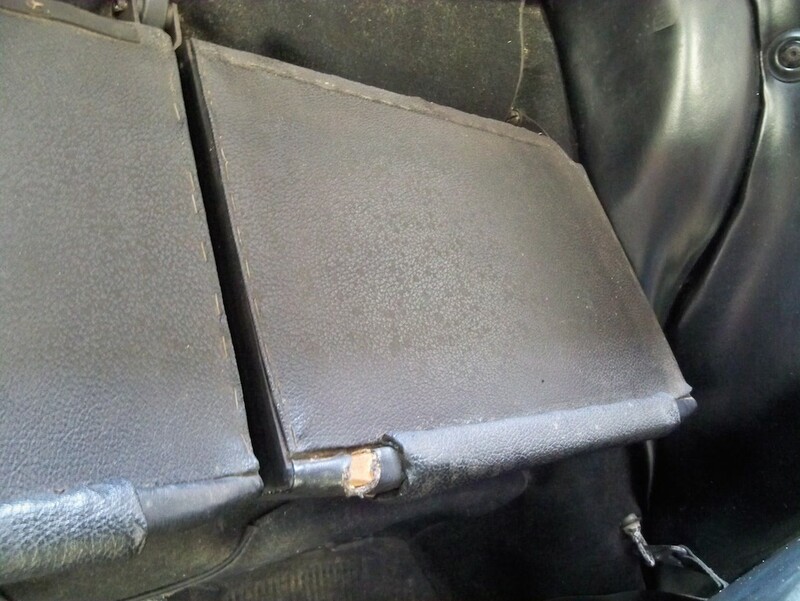 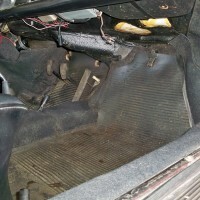 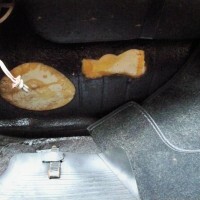 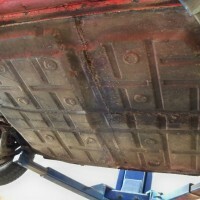 It also had floor pans installed at some point. 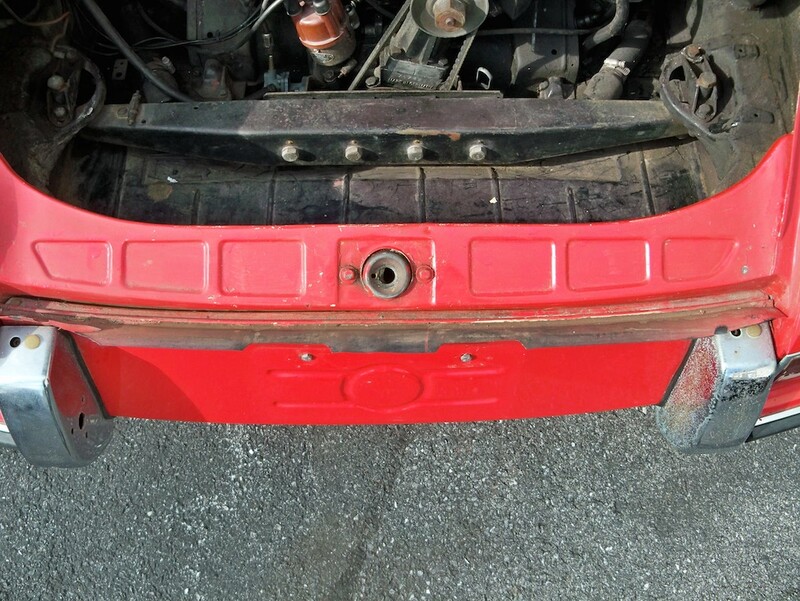 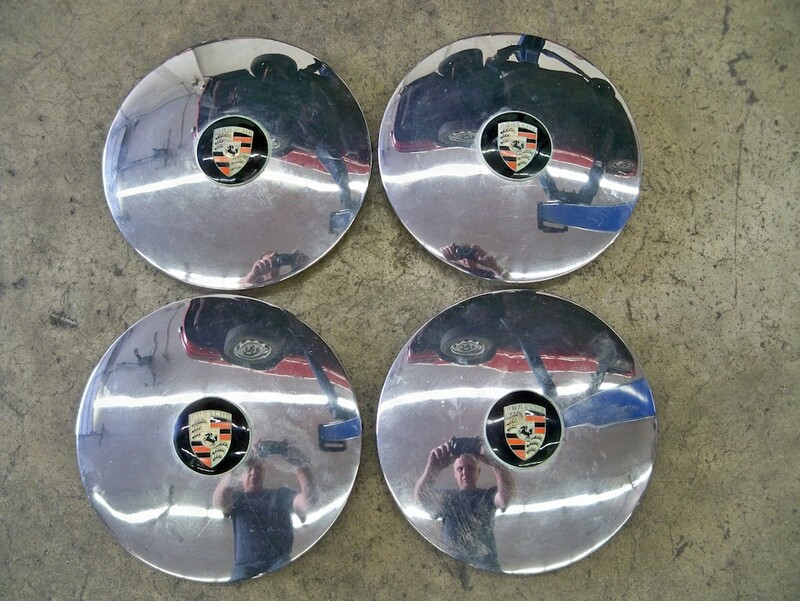 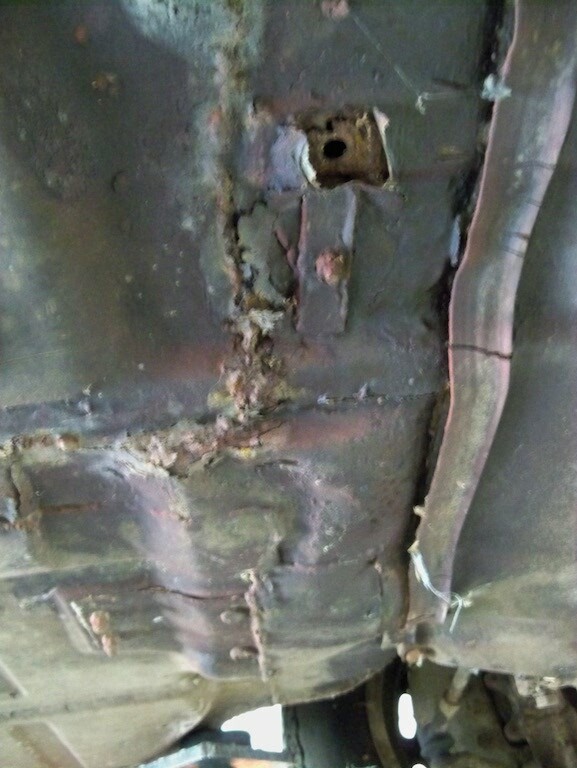 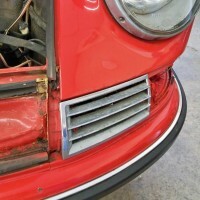 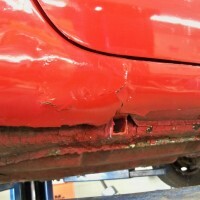 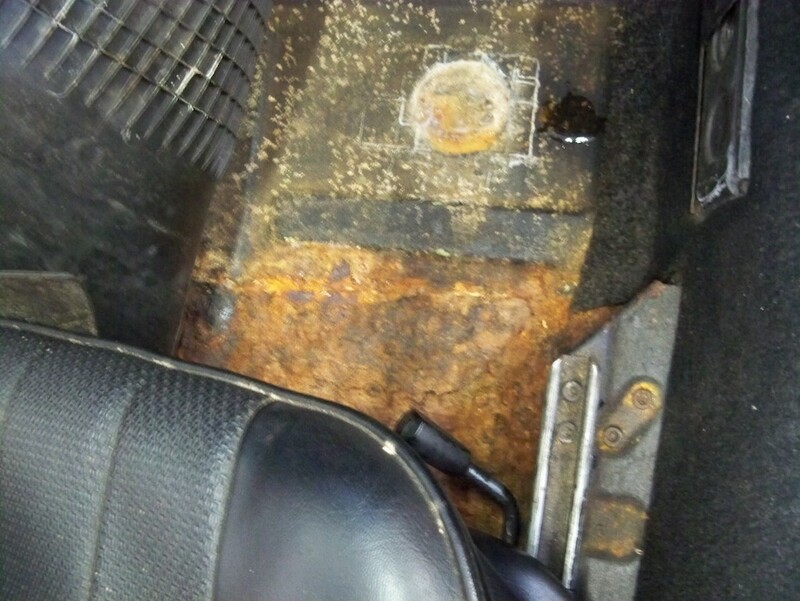 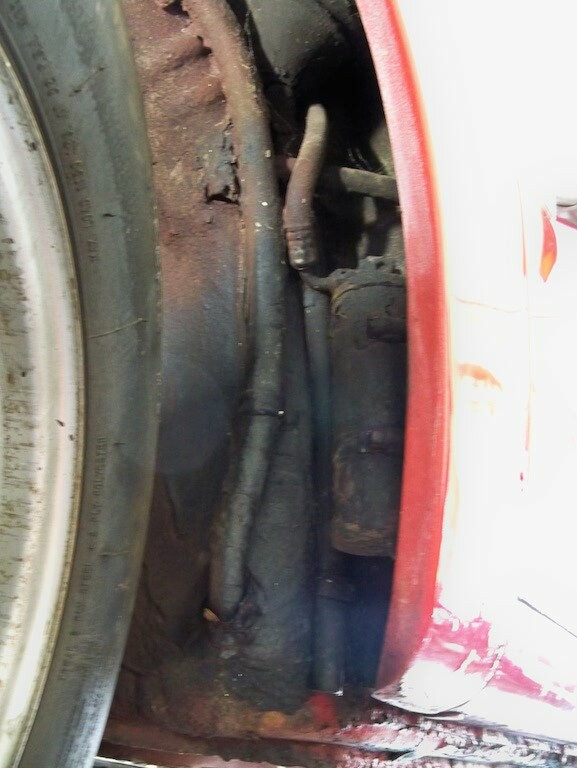 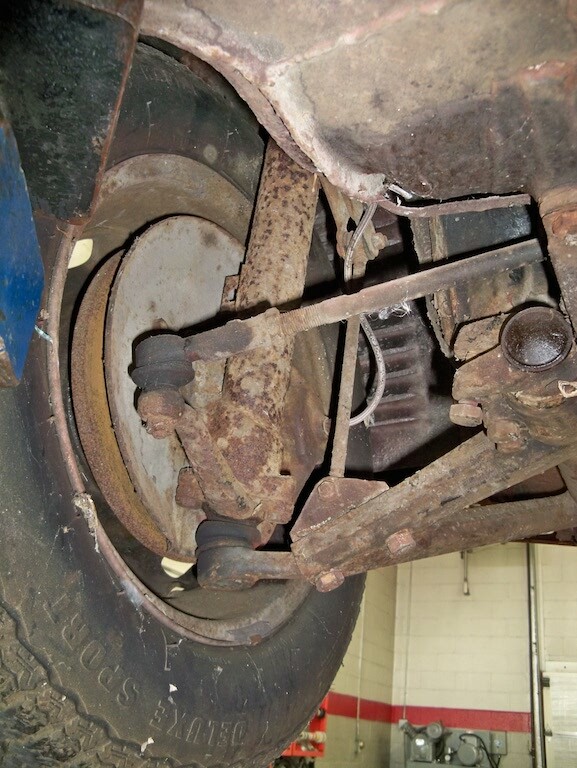 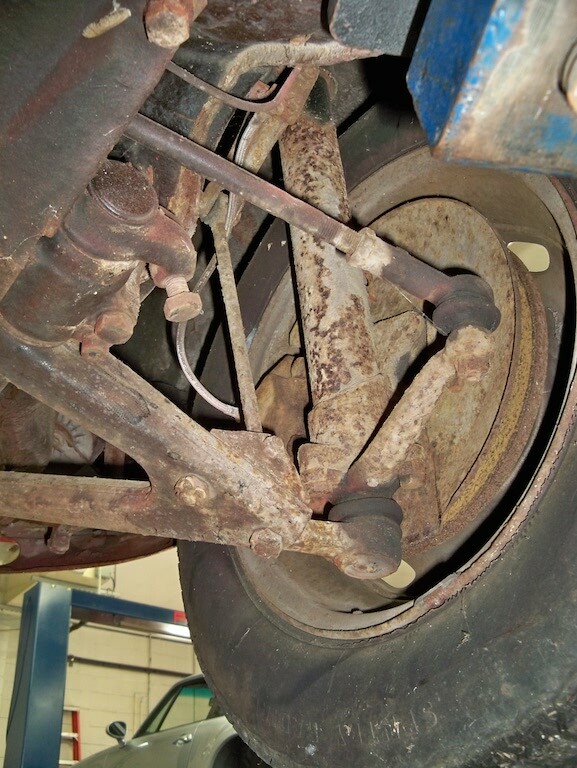 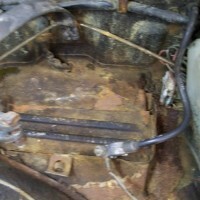 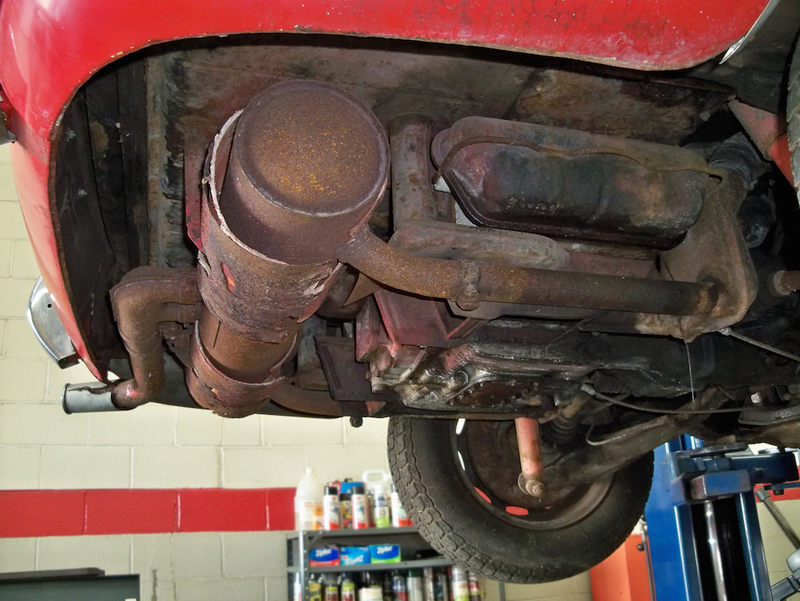 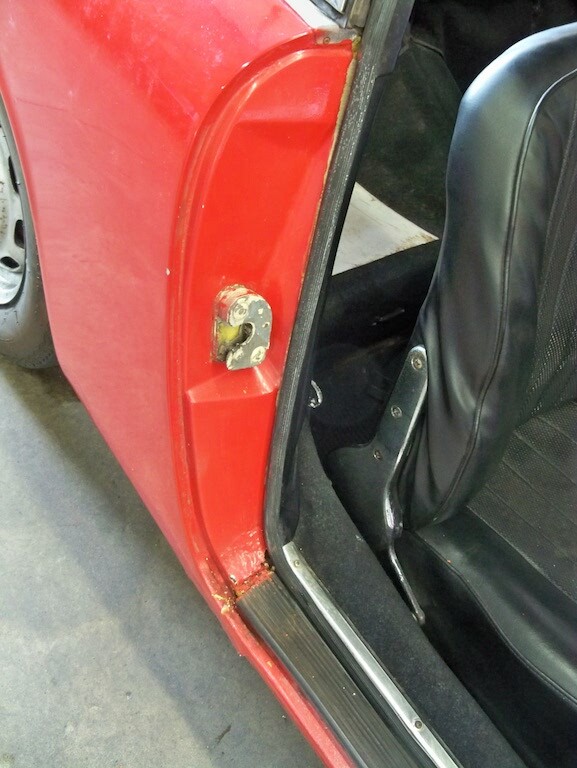 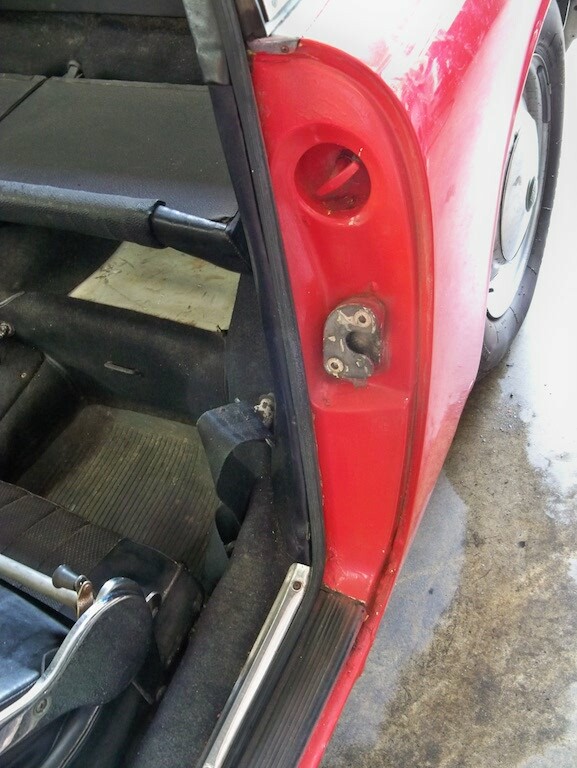 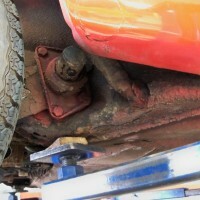 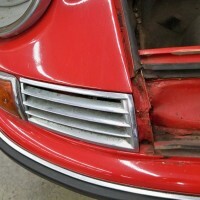 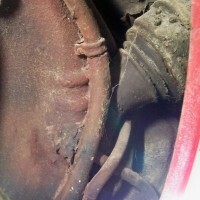 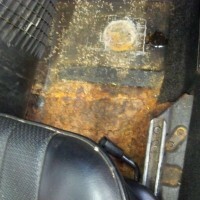 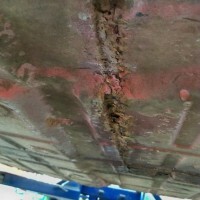 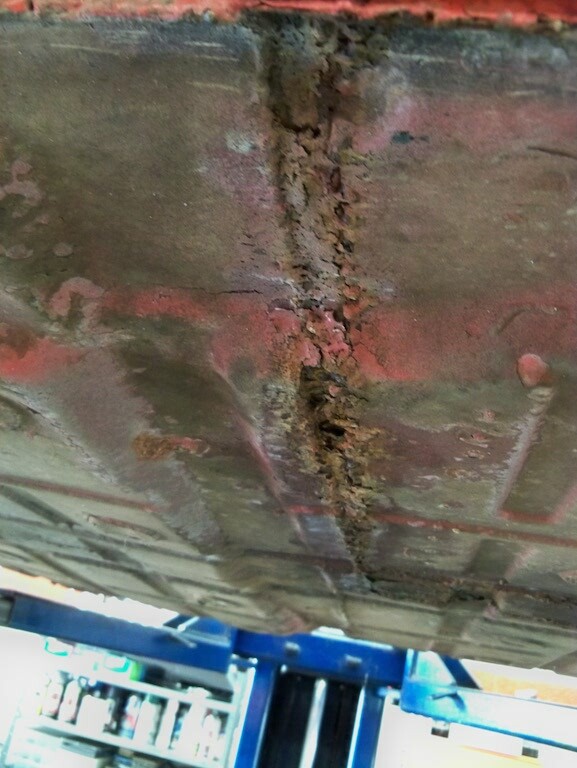 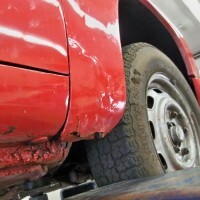 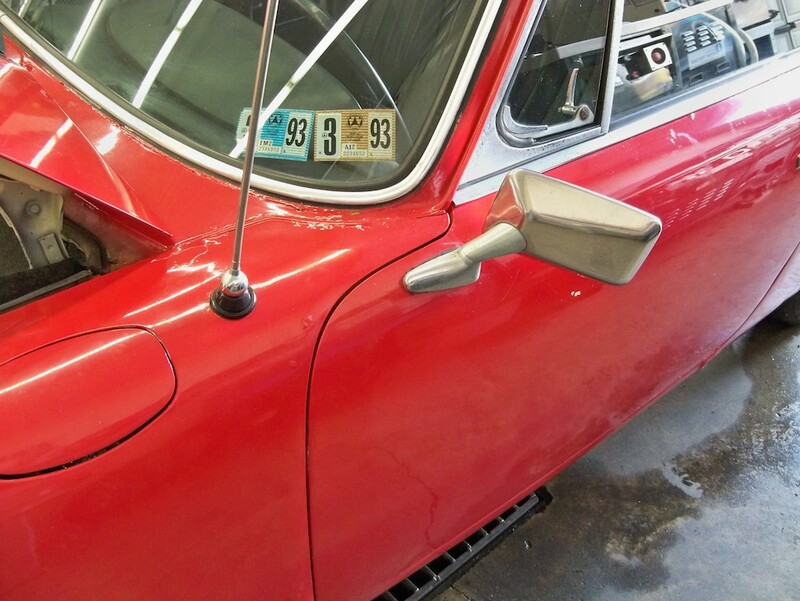 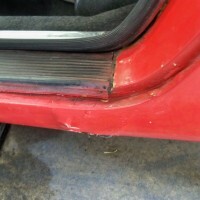 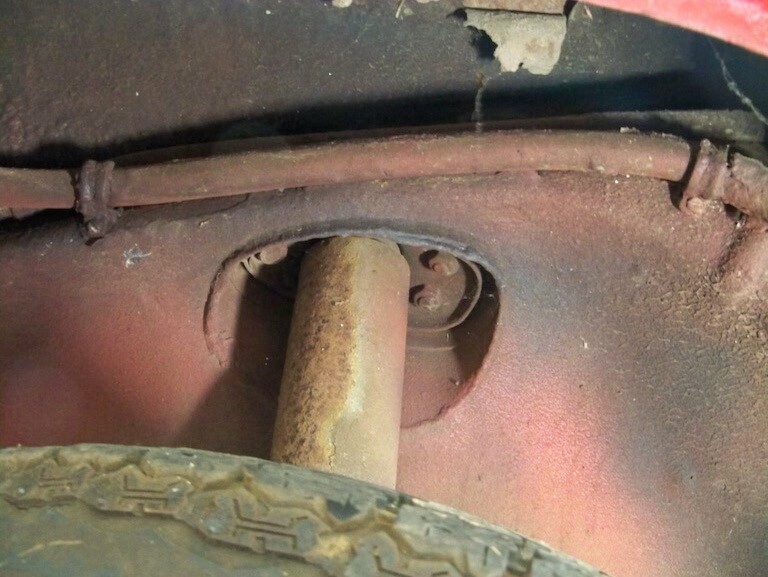 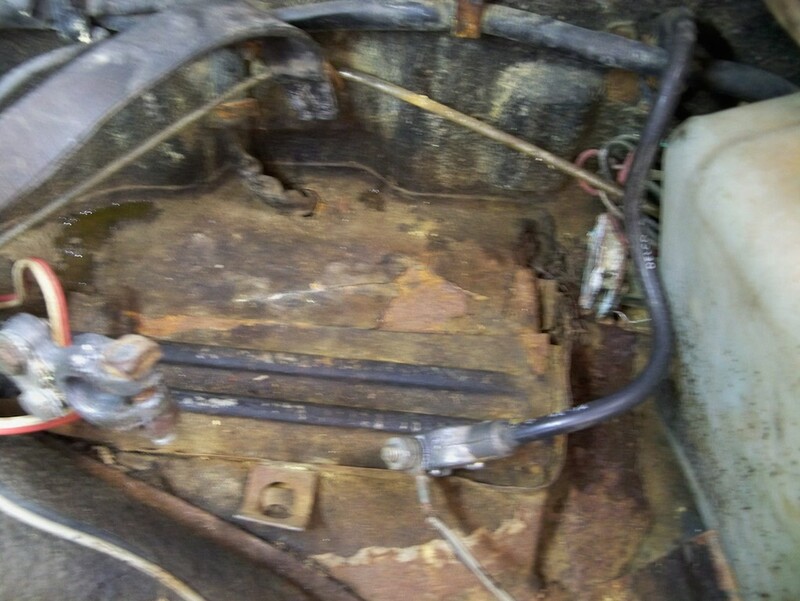 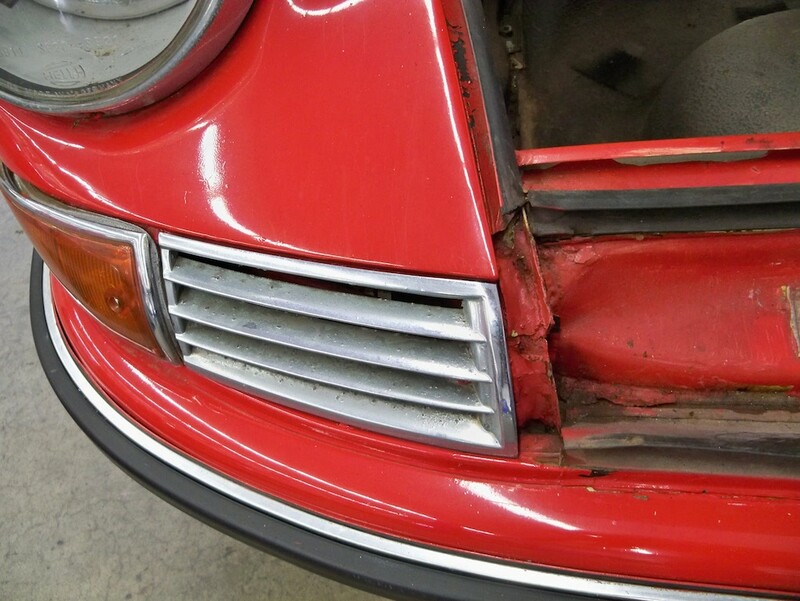 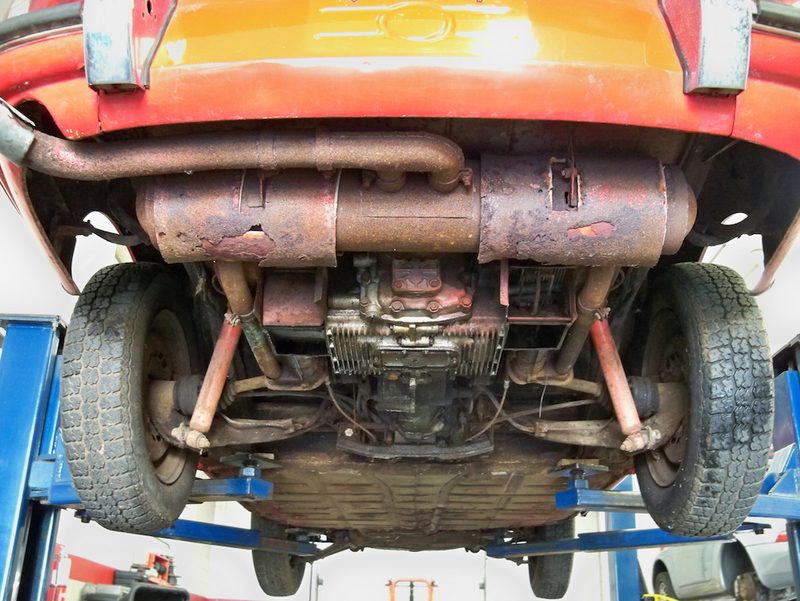 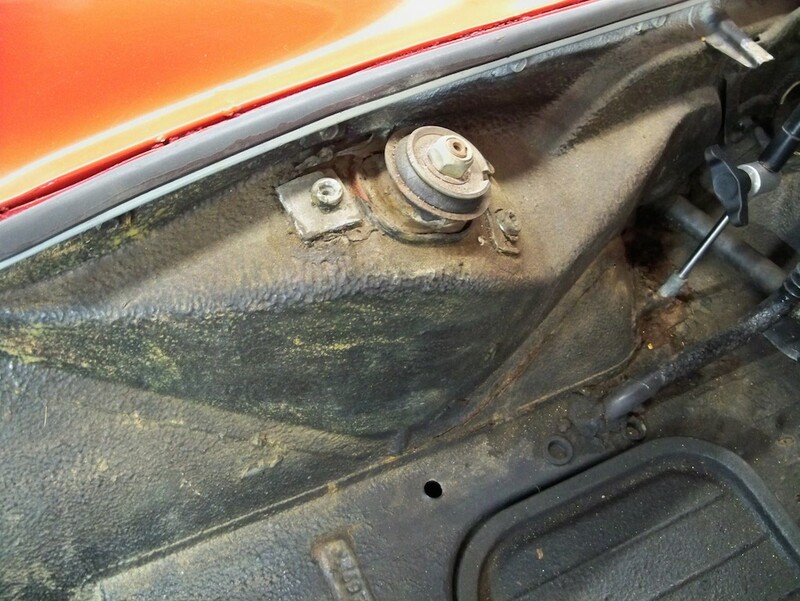 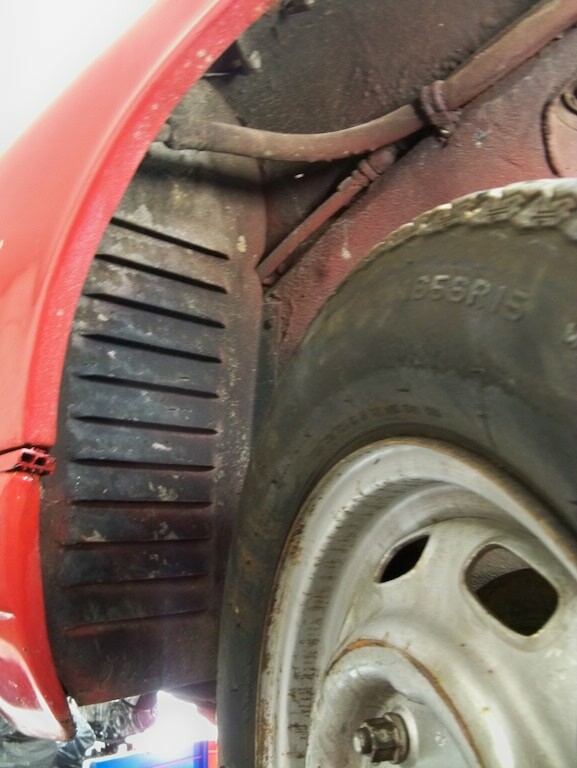 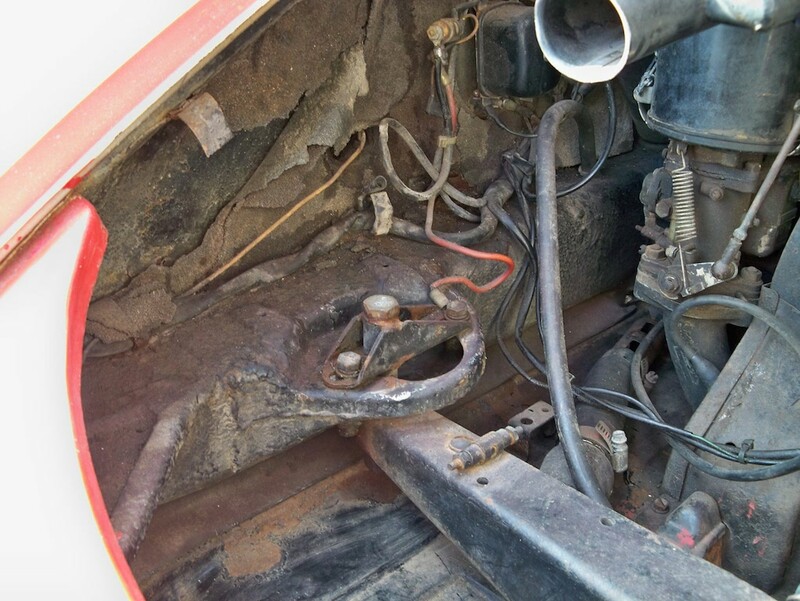 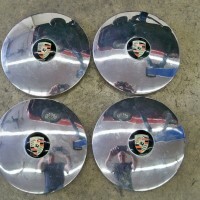 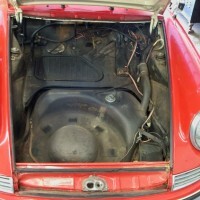 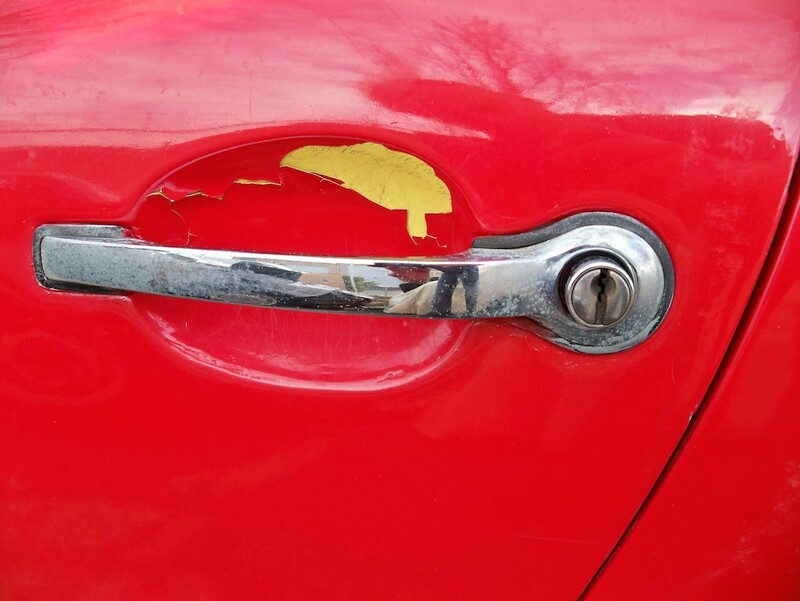 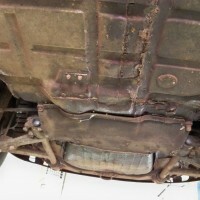 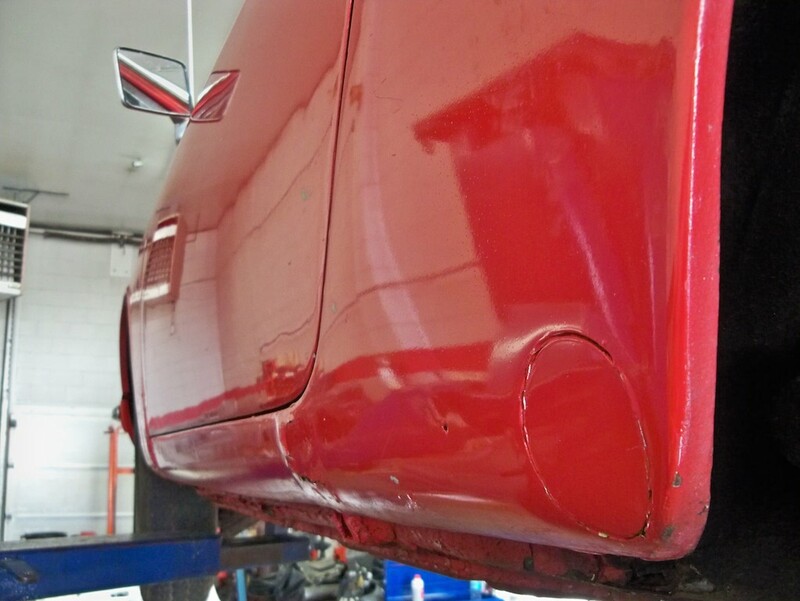 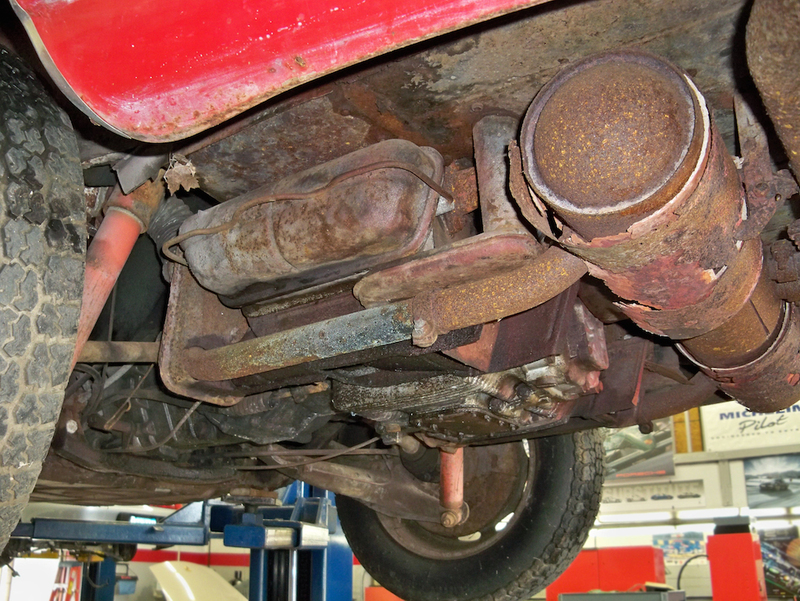 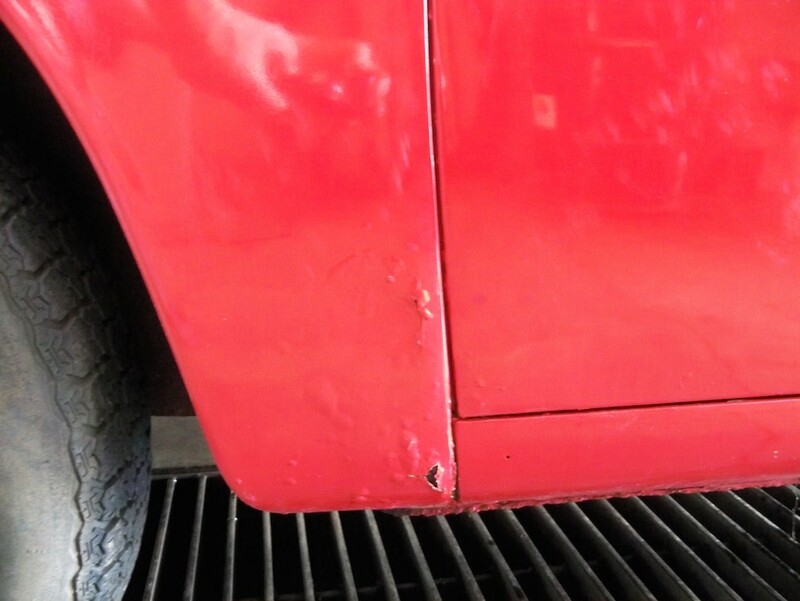 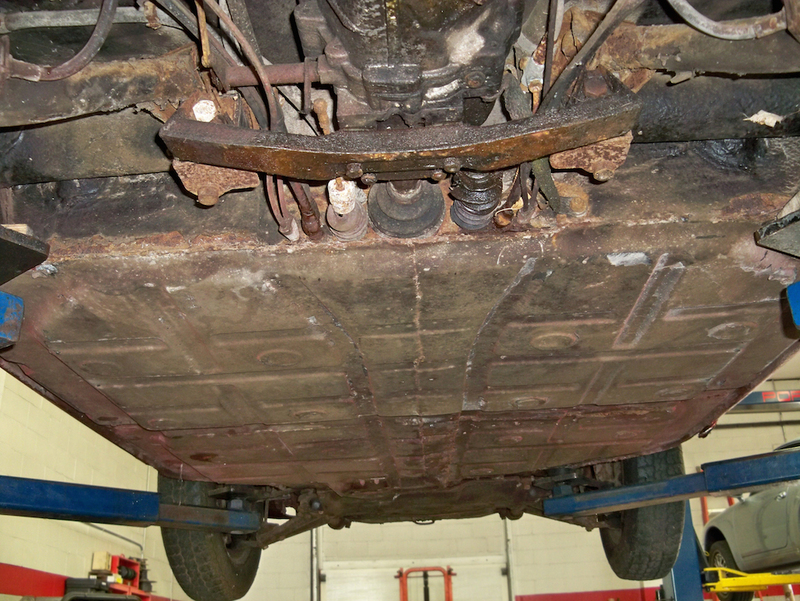 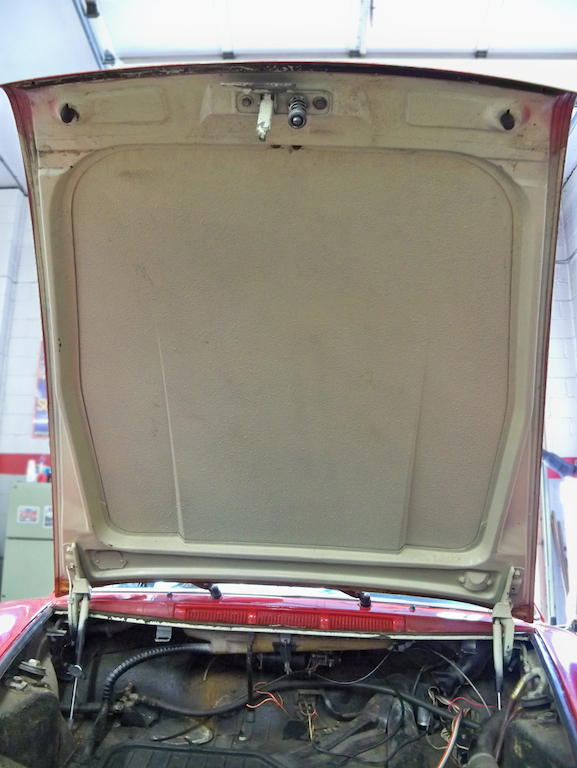 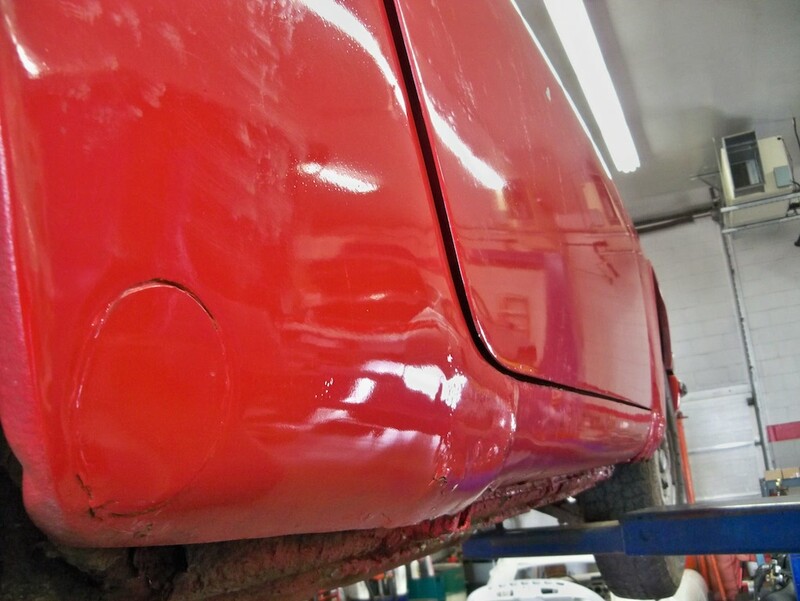 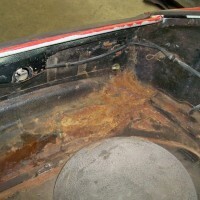 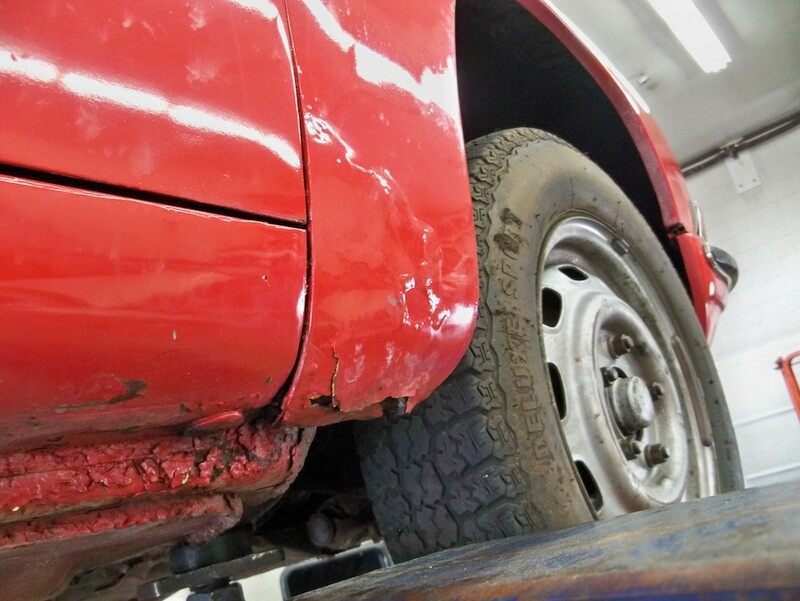 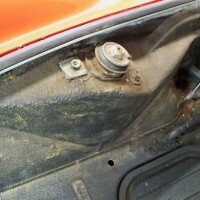 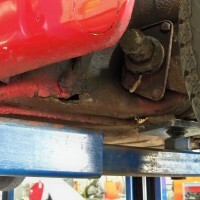 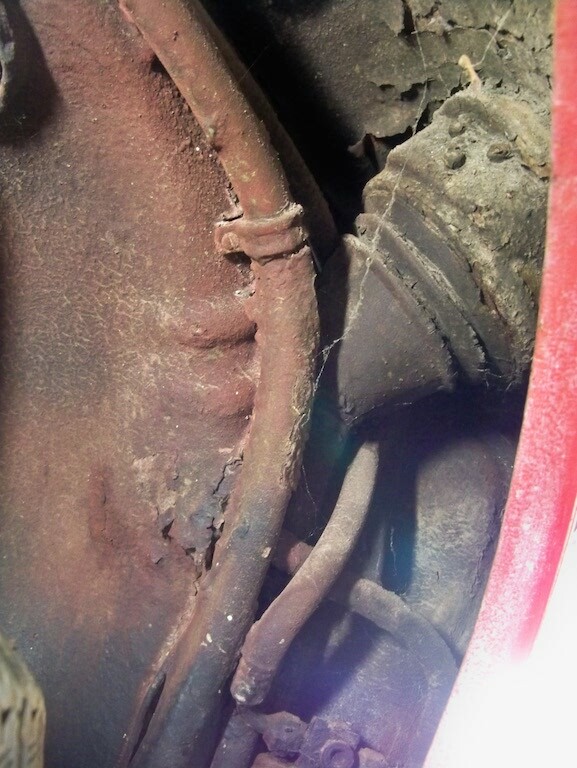 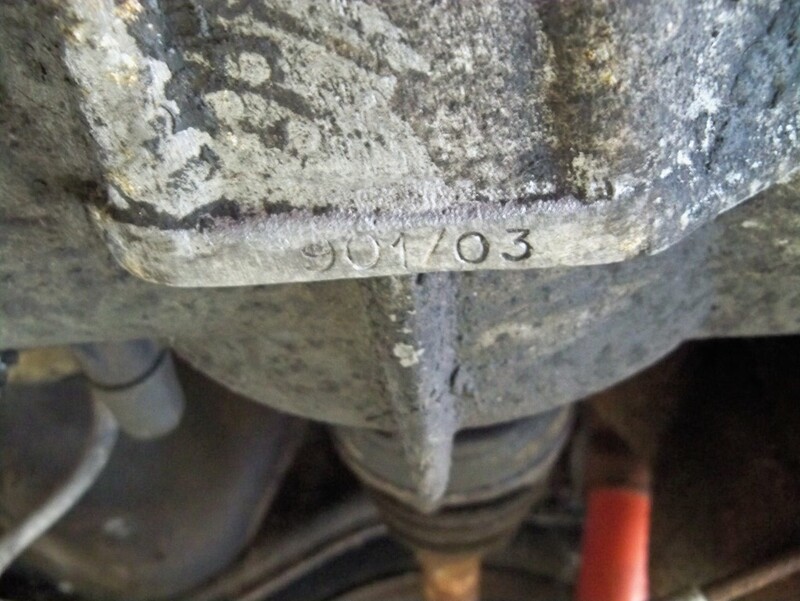 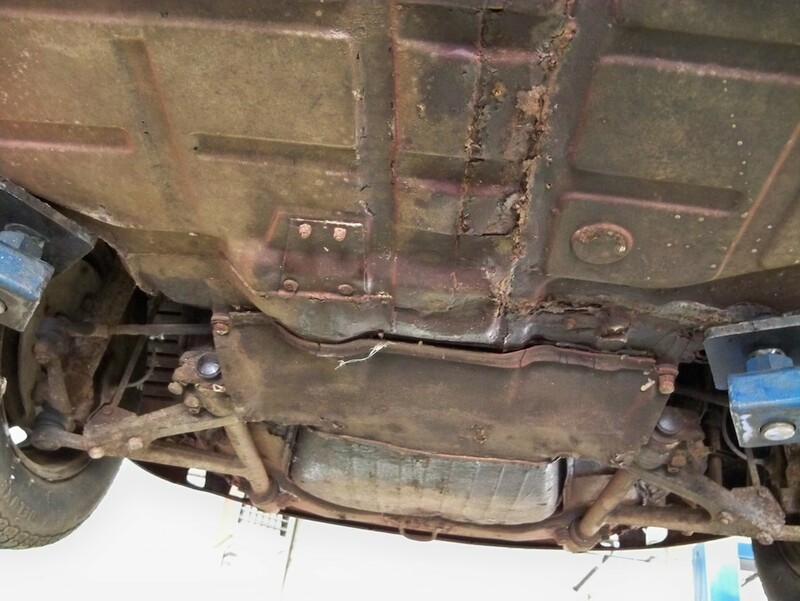 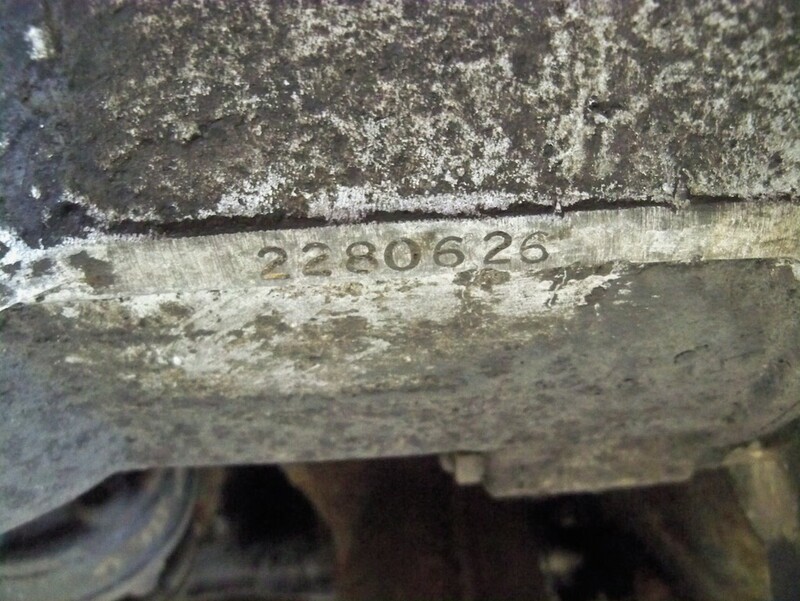 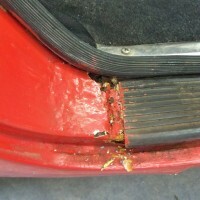 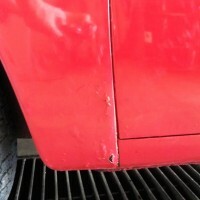 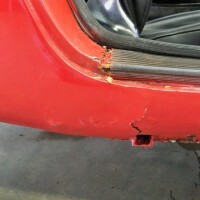 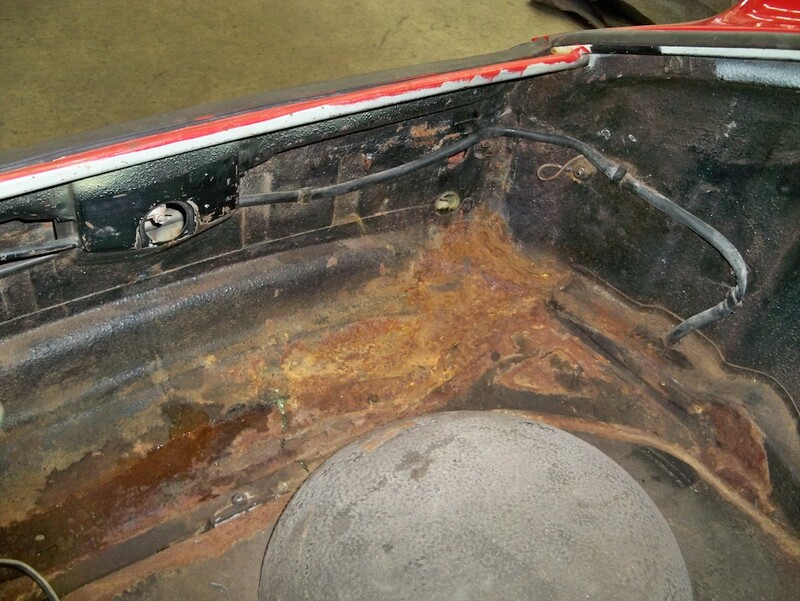 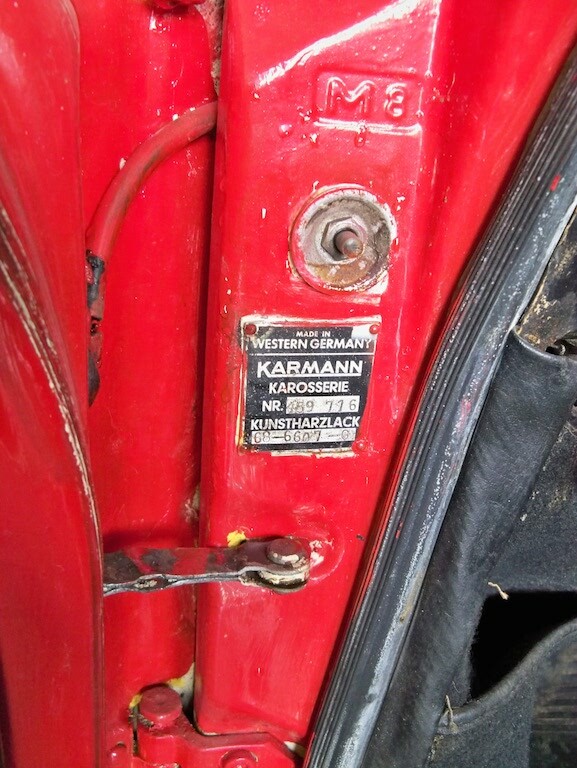 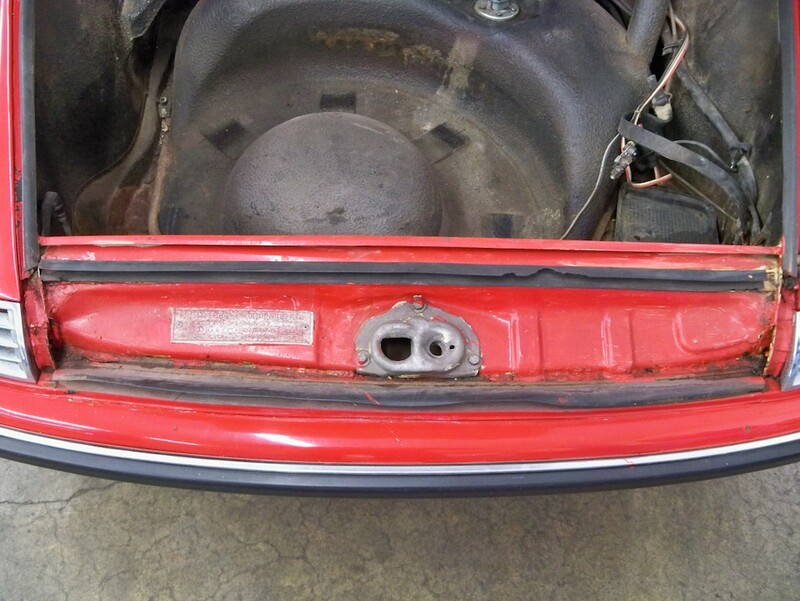 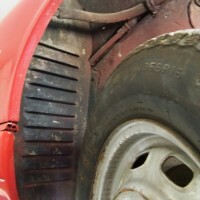 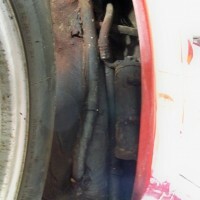 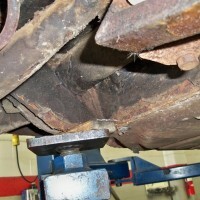 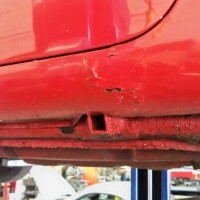 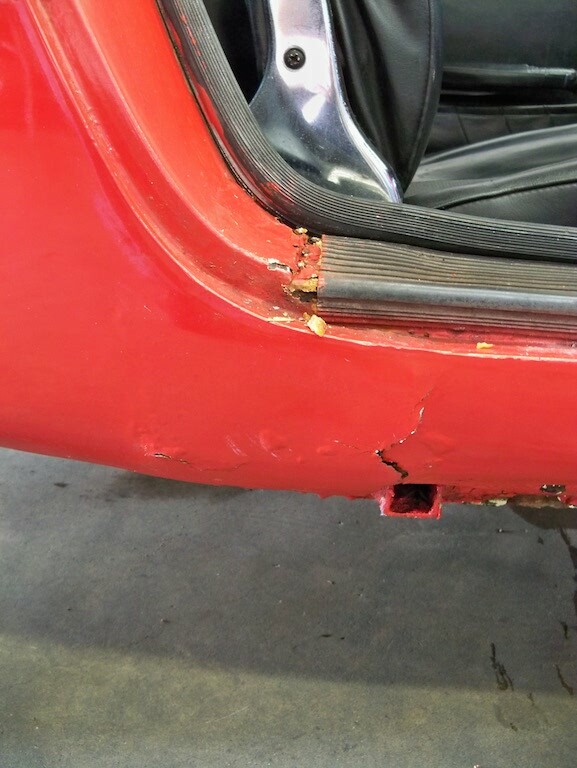 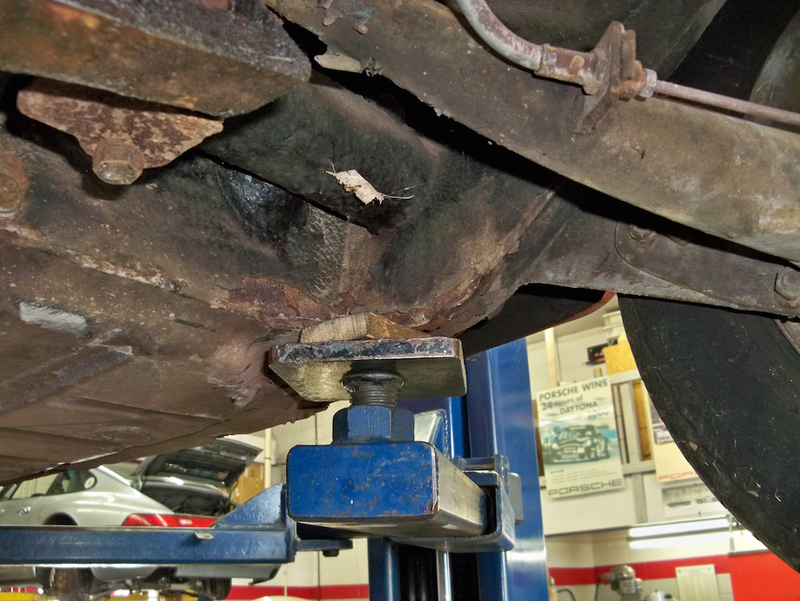 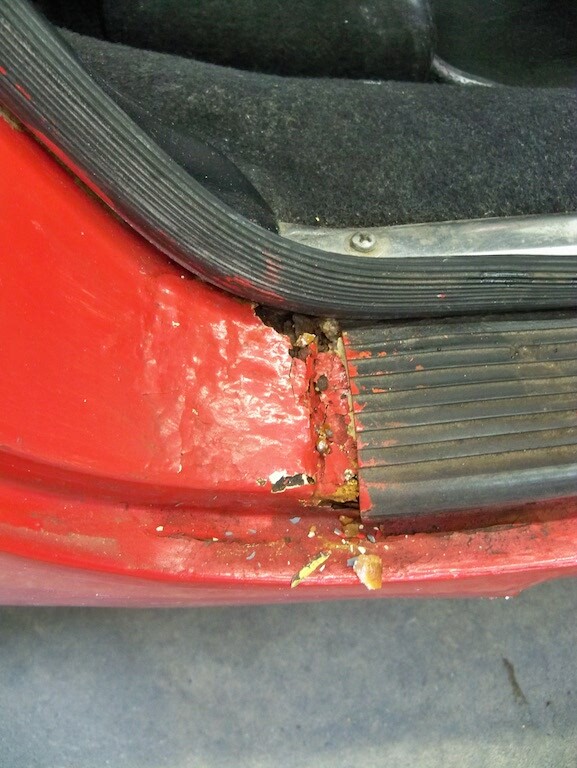 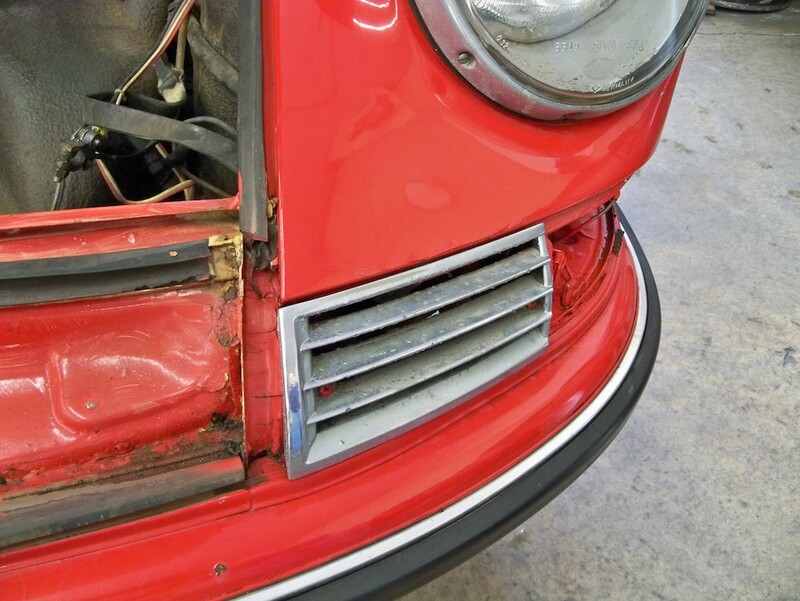 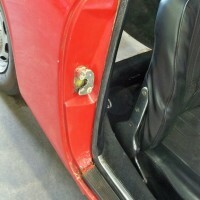 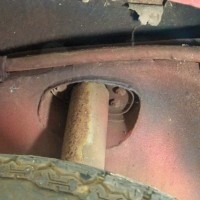 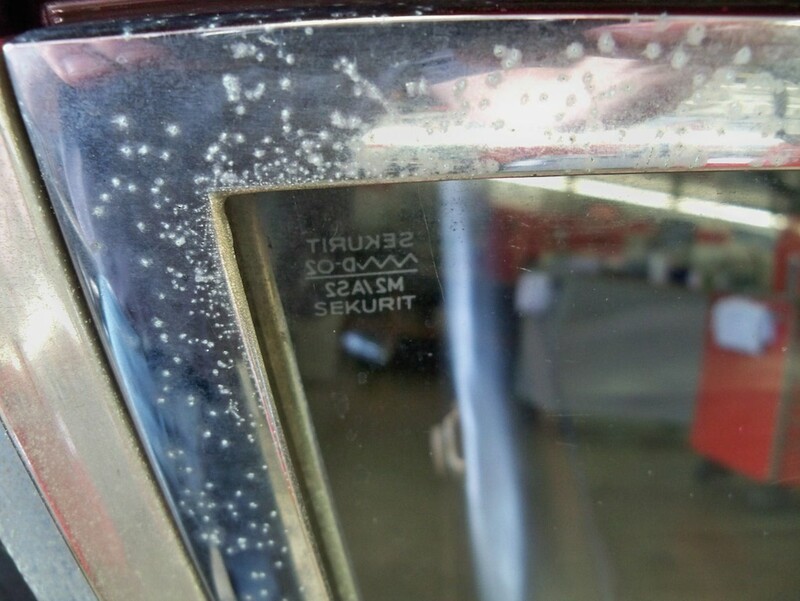 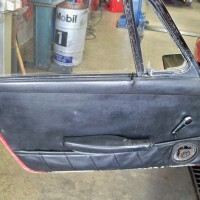 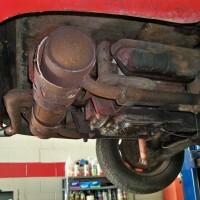 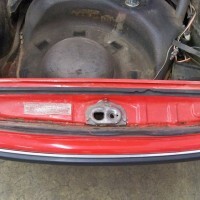 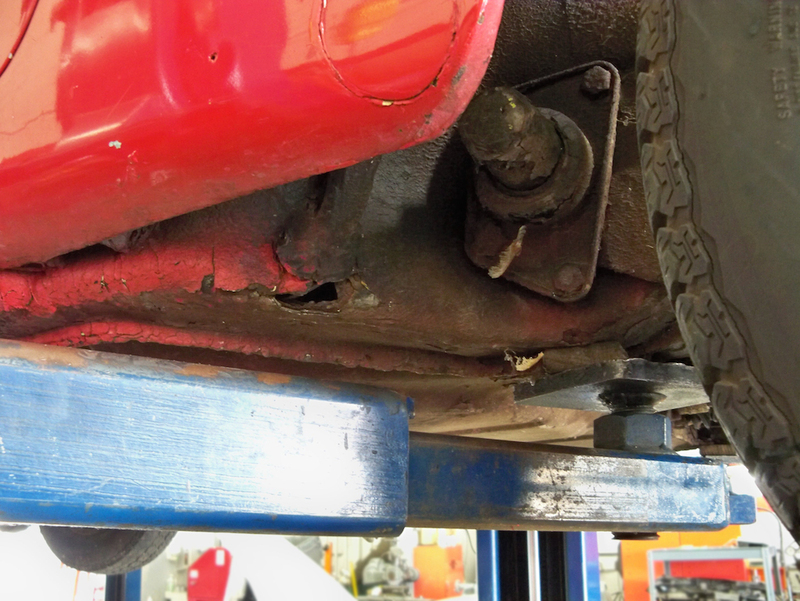 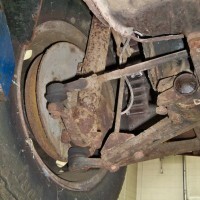 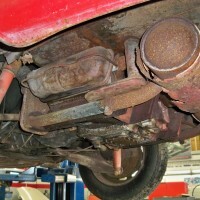 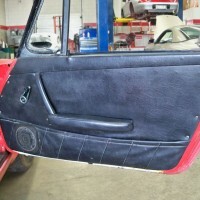 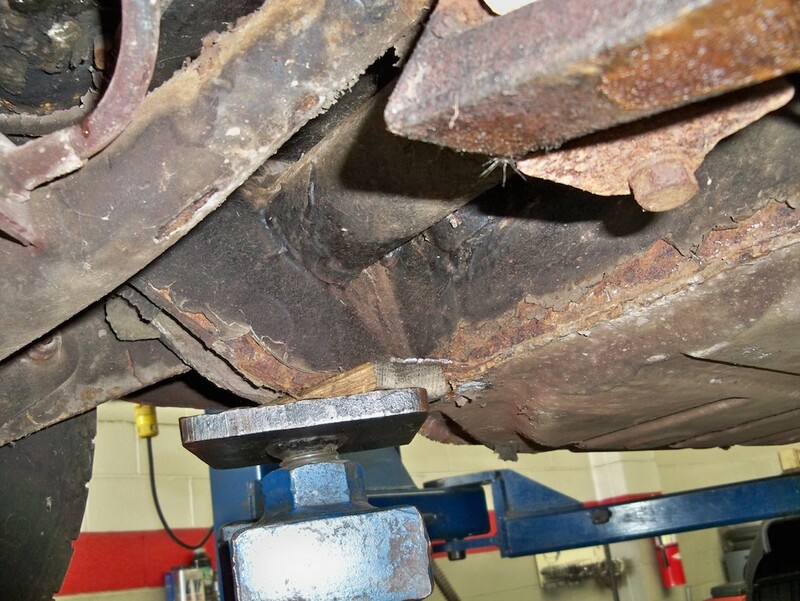 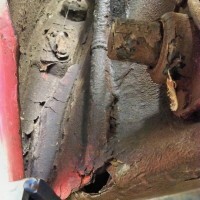 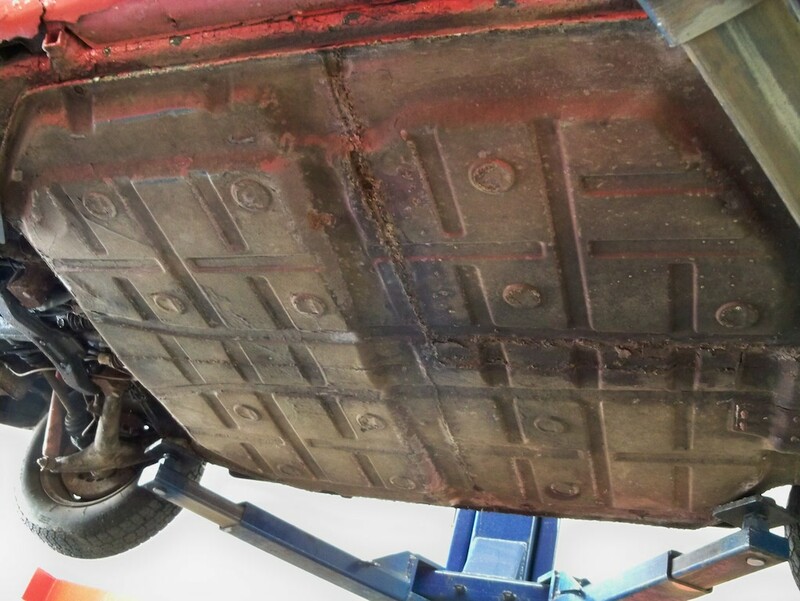 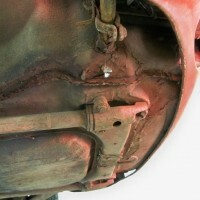 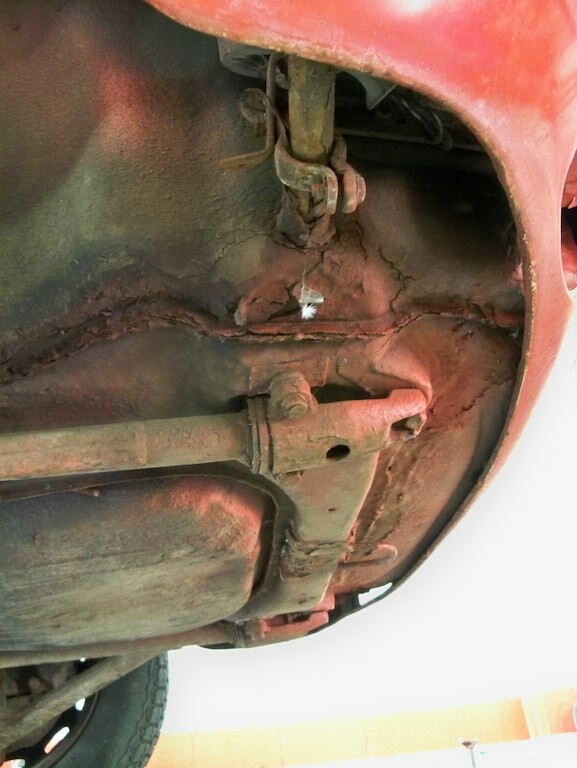 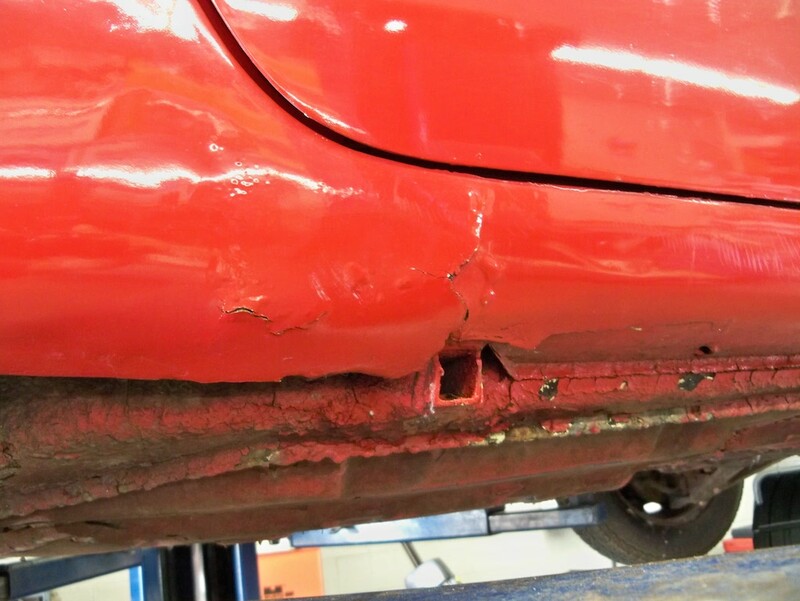 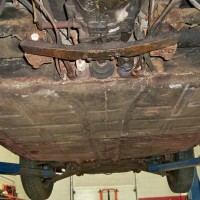 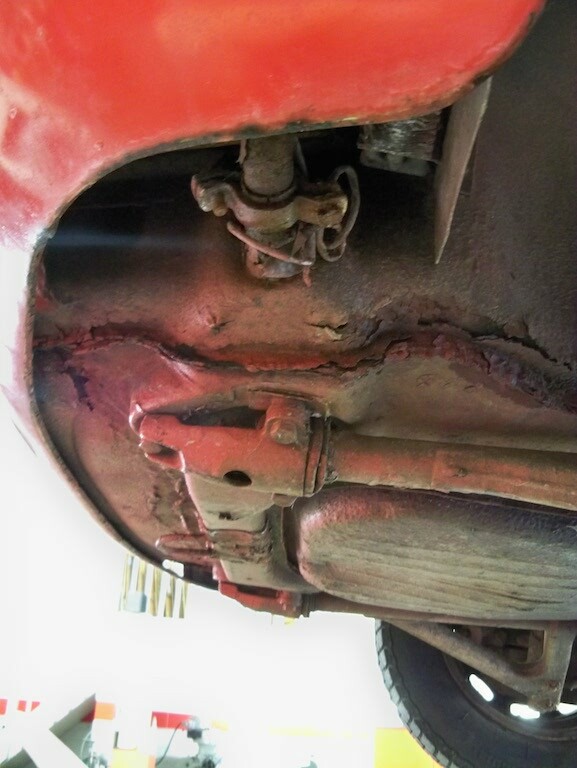 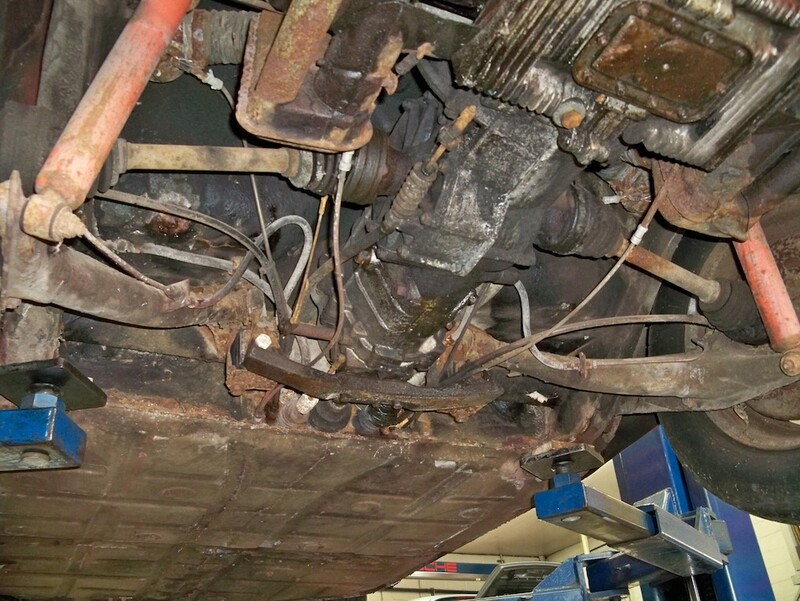 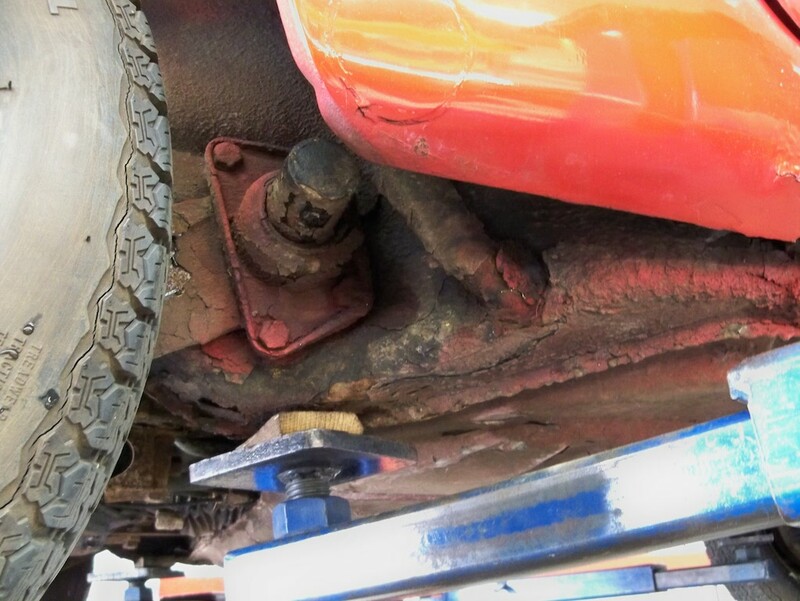 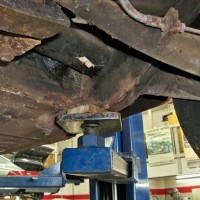 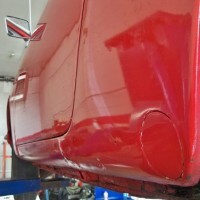 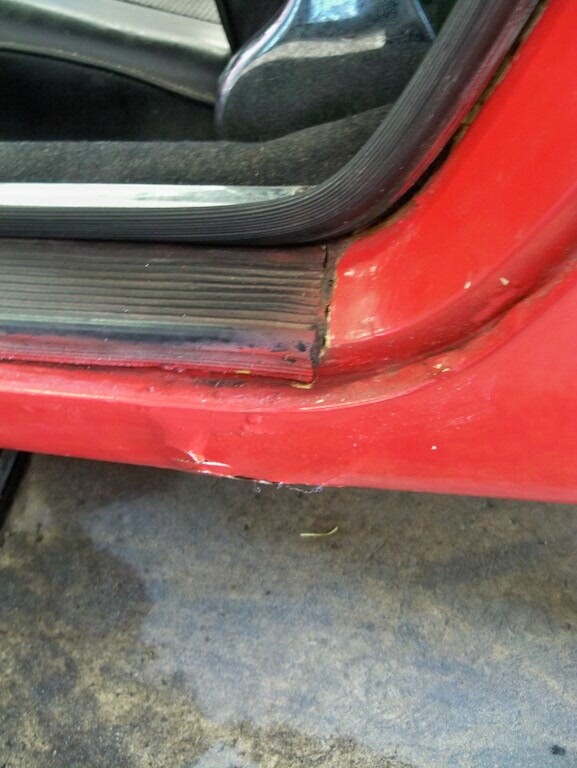 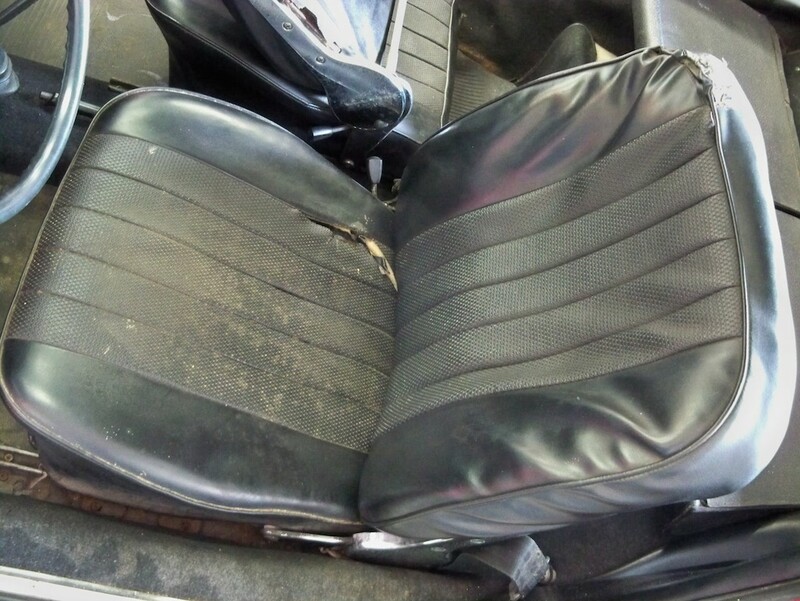 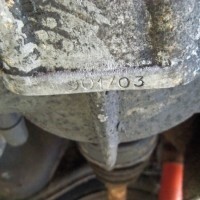 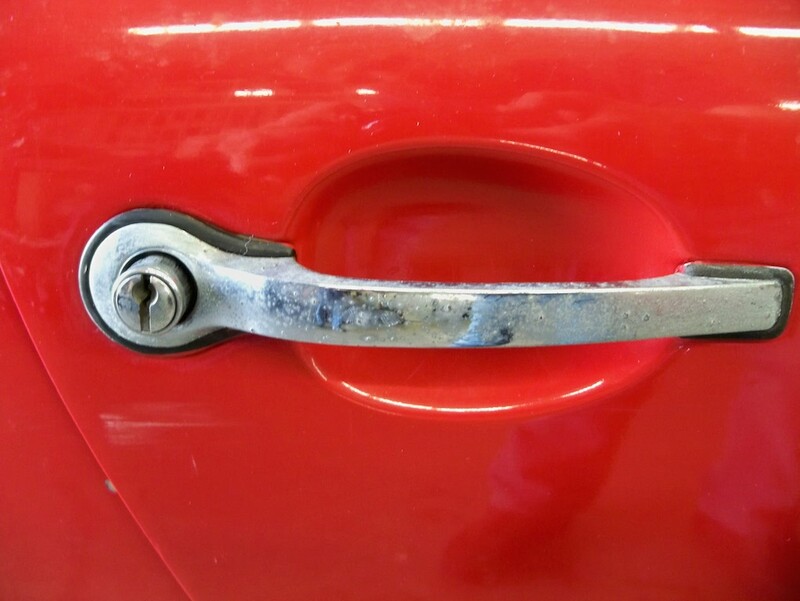 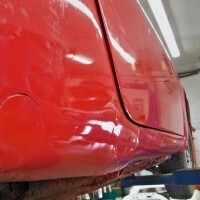 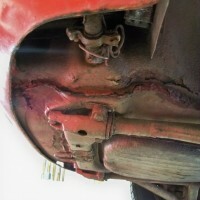 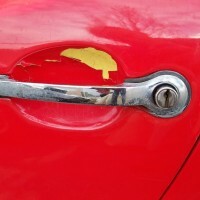 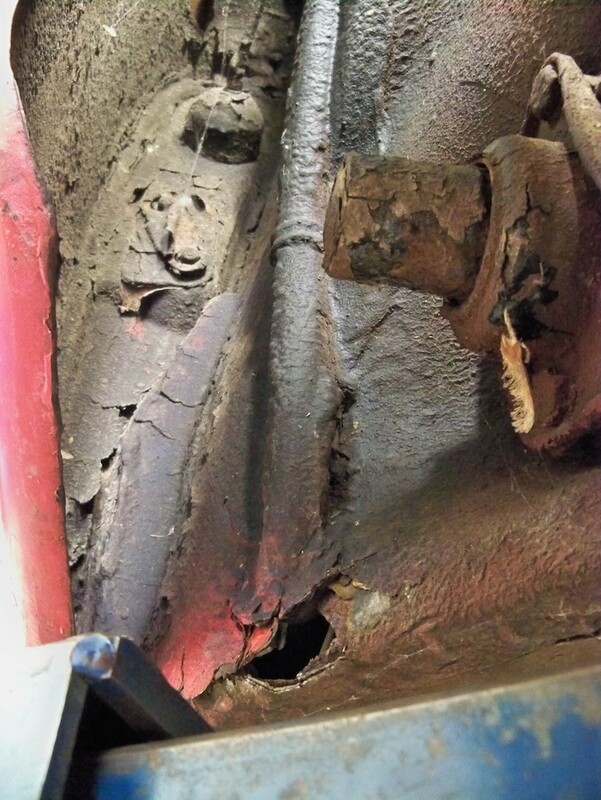 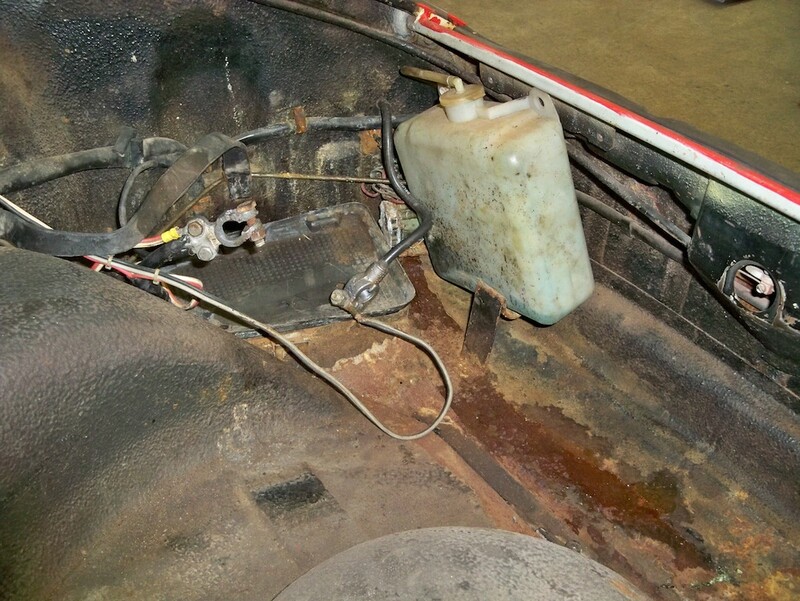 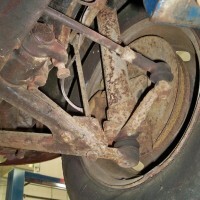 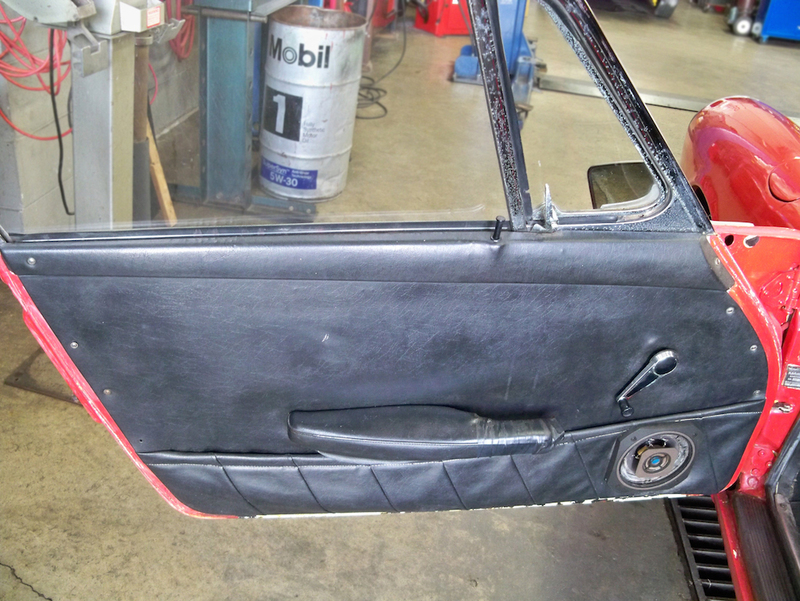 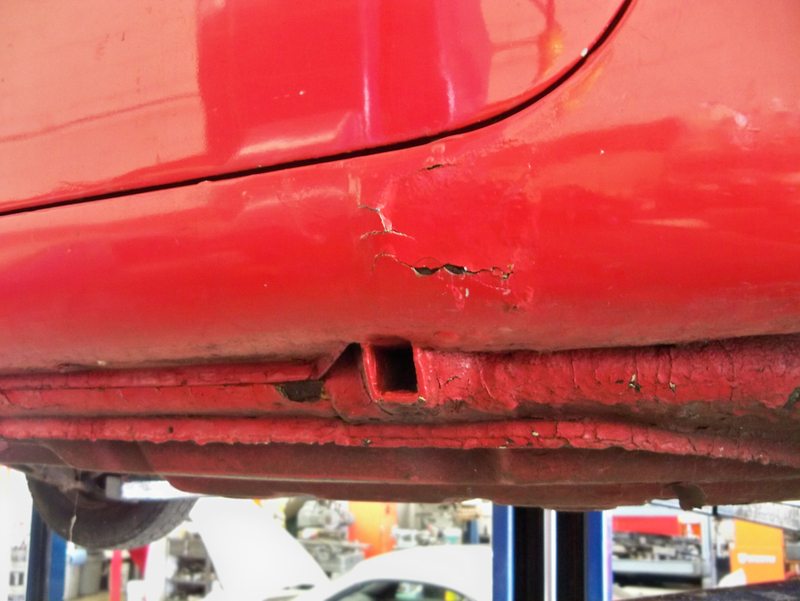 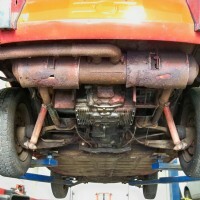 There is rust in both rockers, floor pan, front fenders and front suspension pan area. 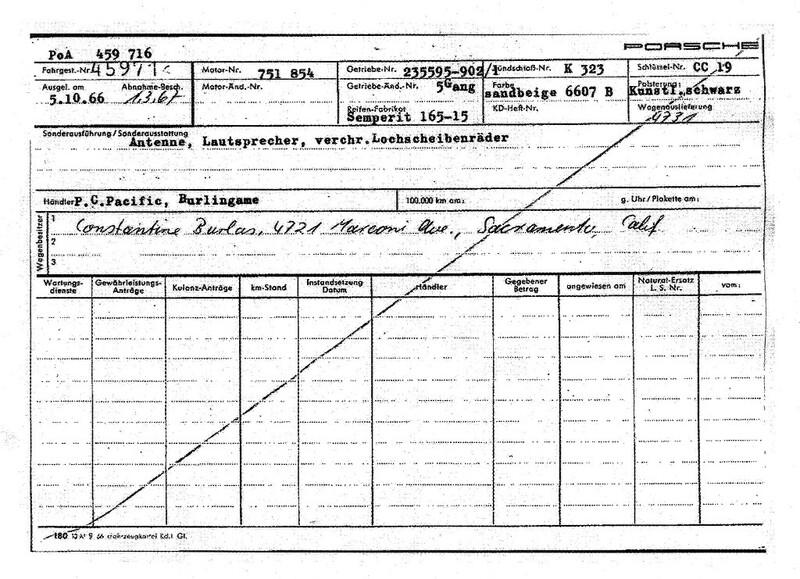 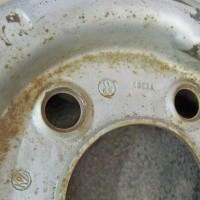 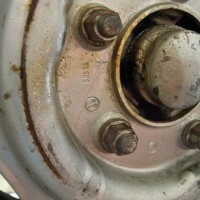 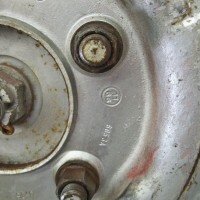 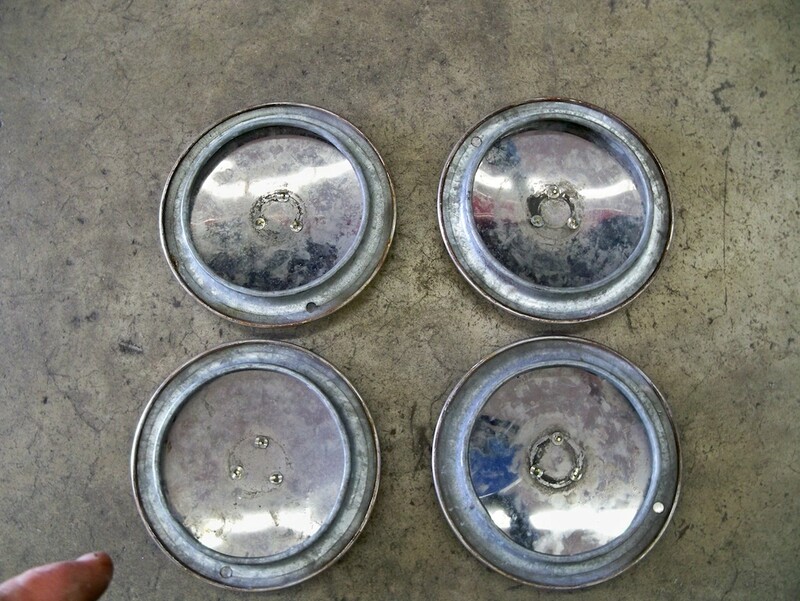 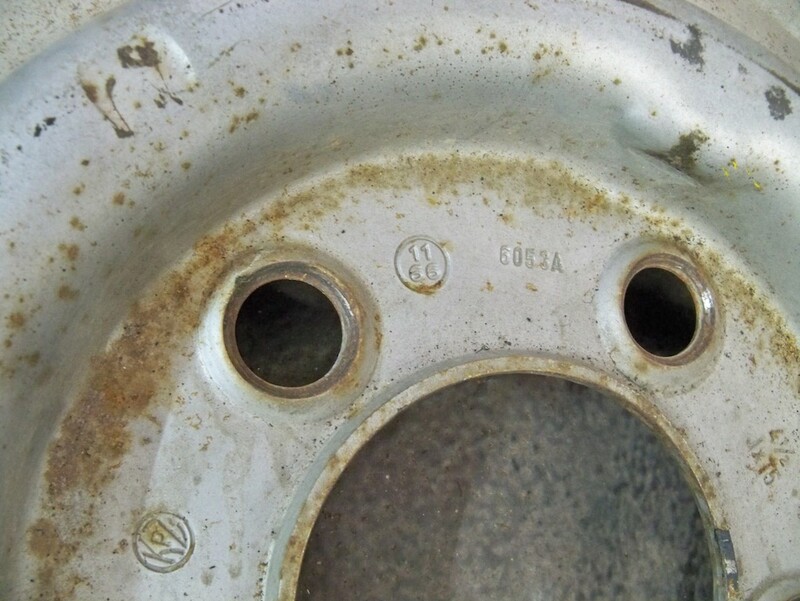 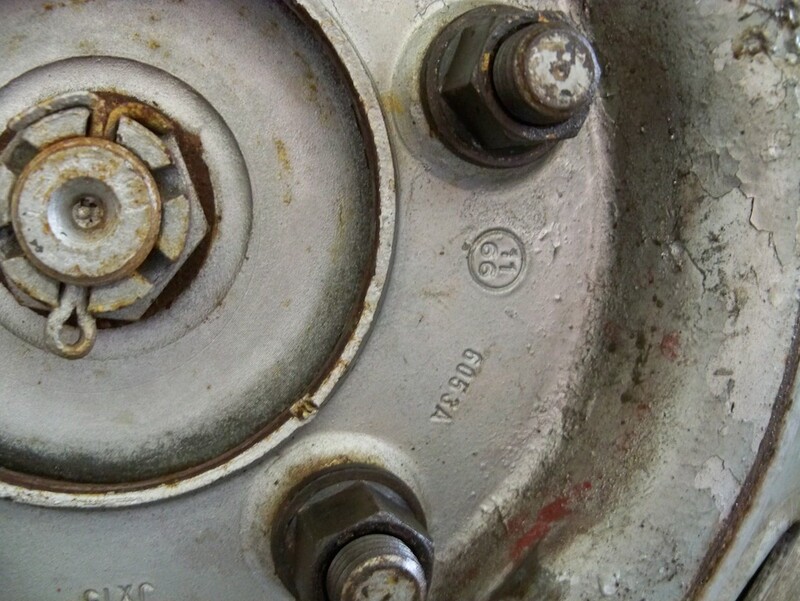 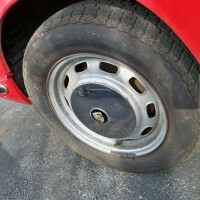 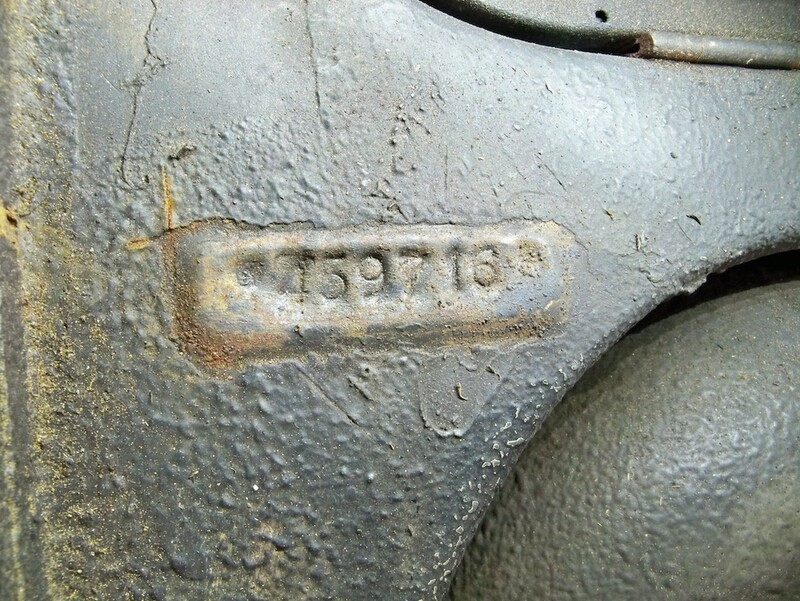 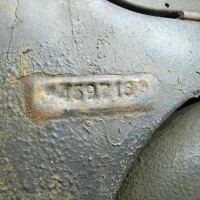 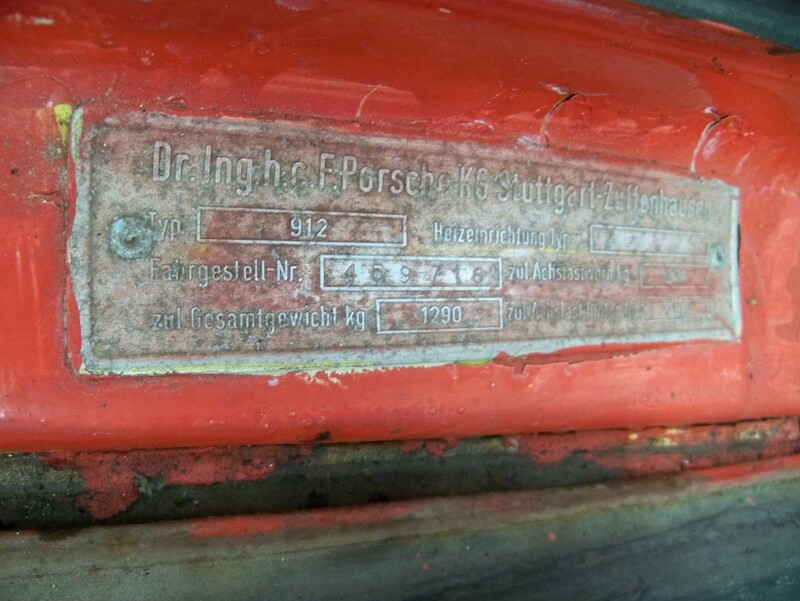 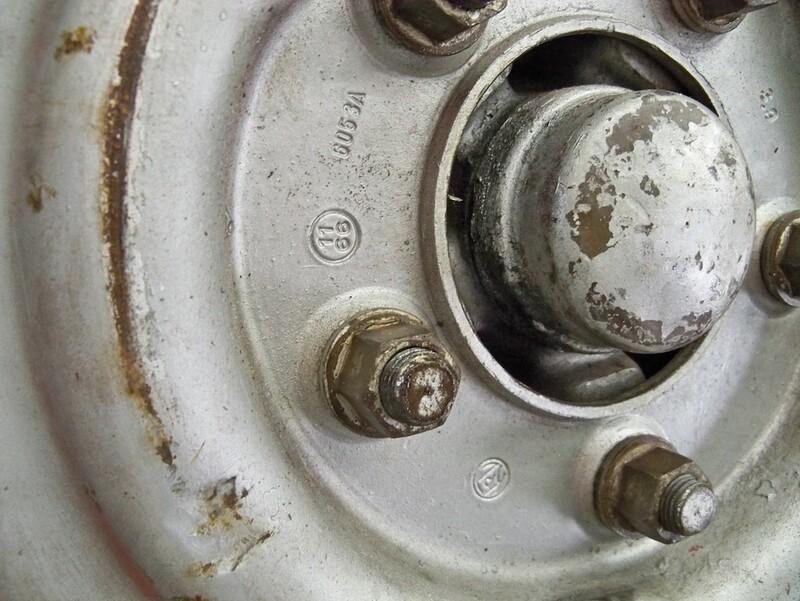 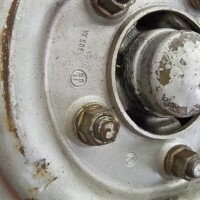 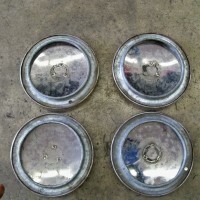 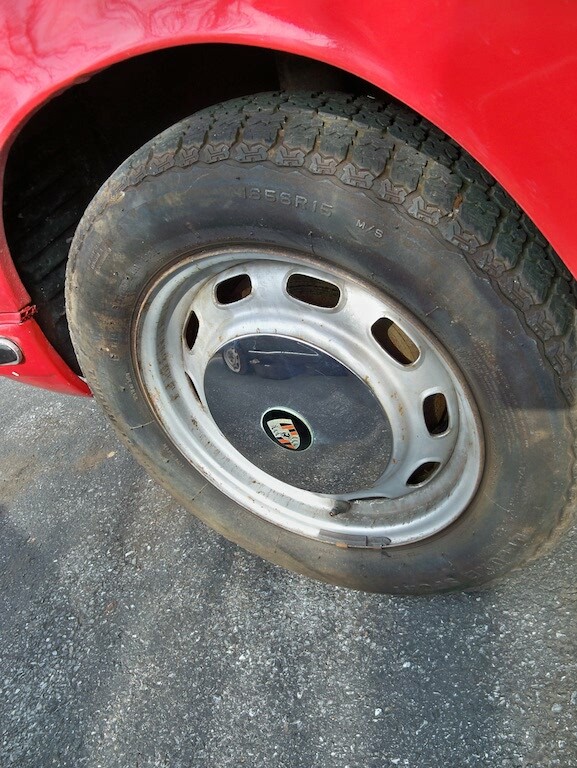 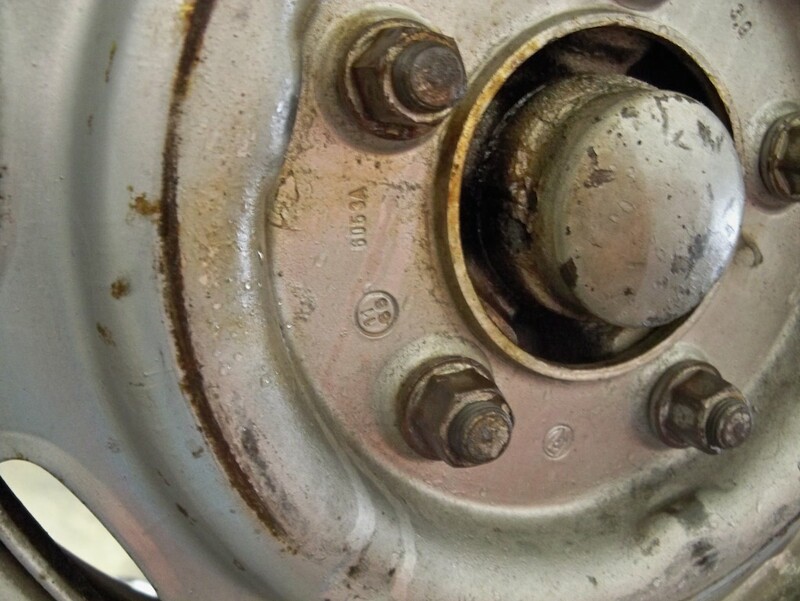 The painted steel wheels are date stamped 11/66. 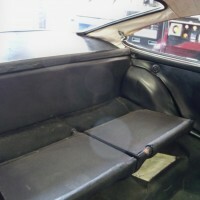 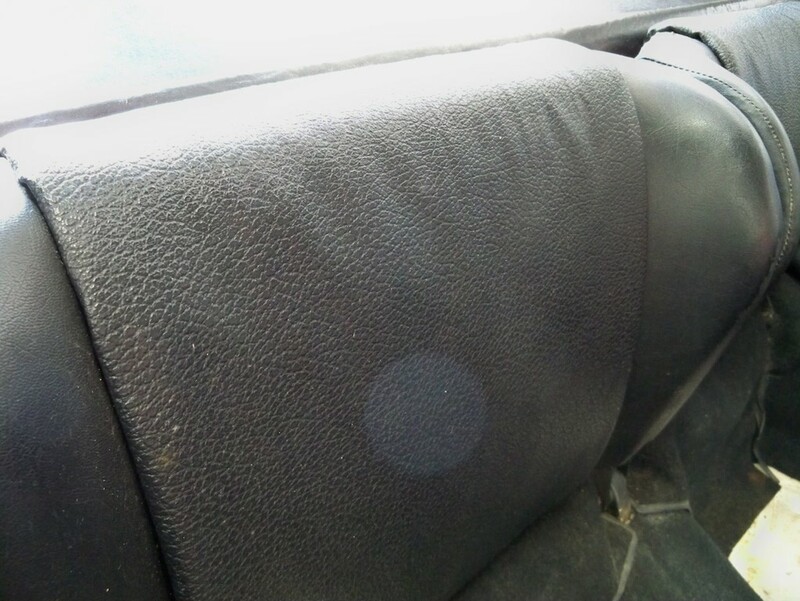 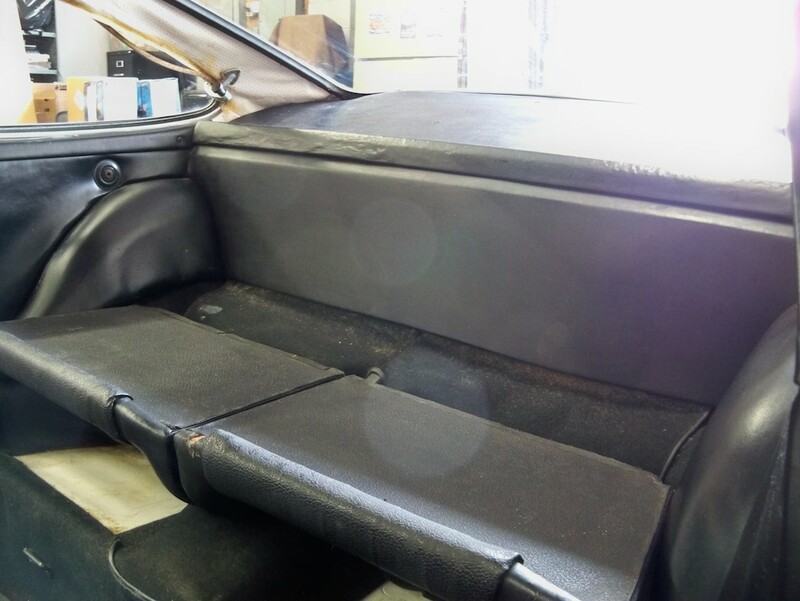 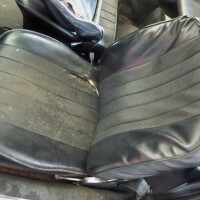 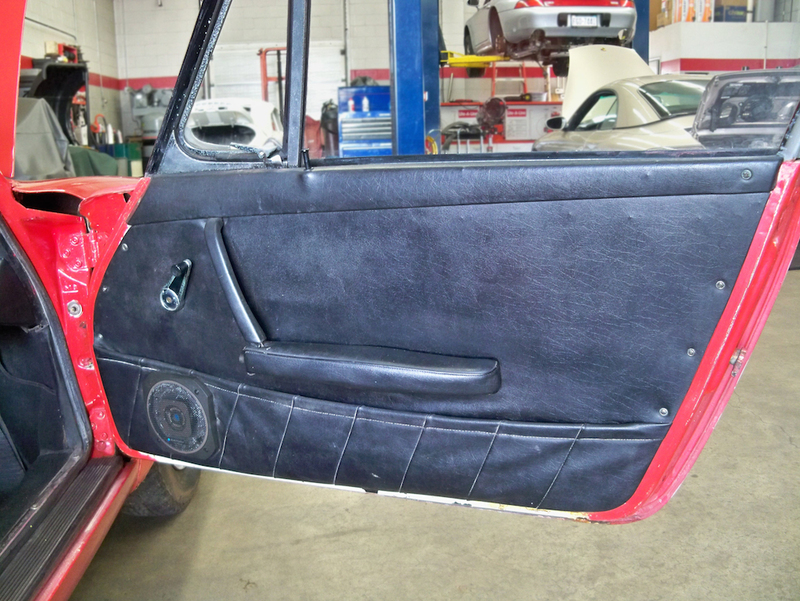 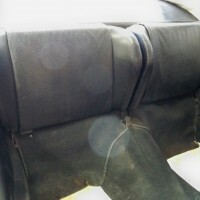 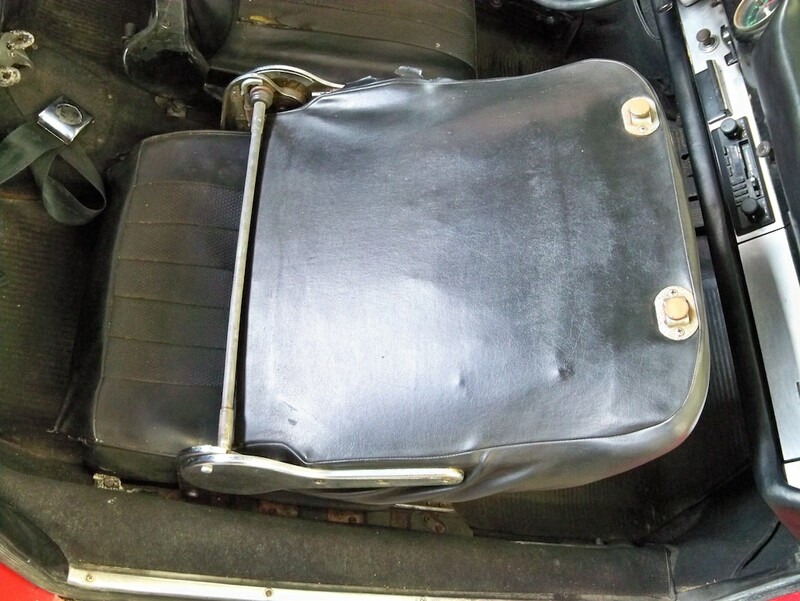 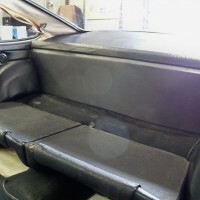 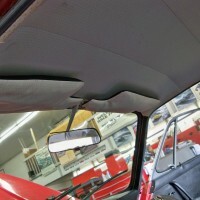 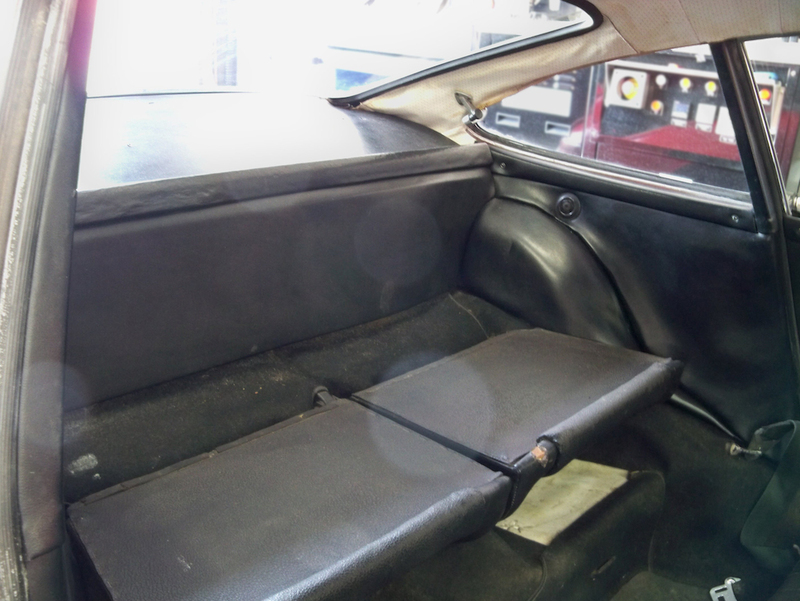 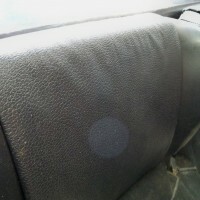 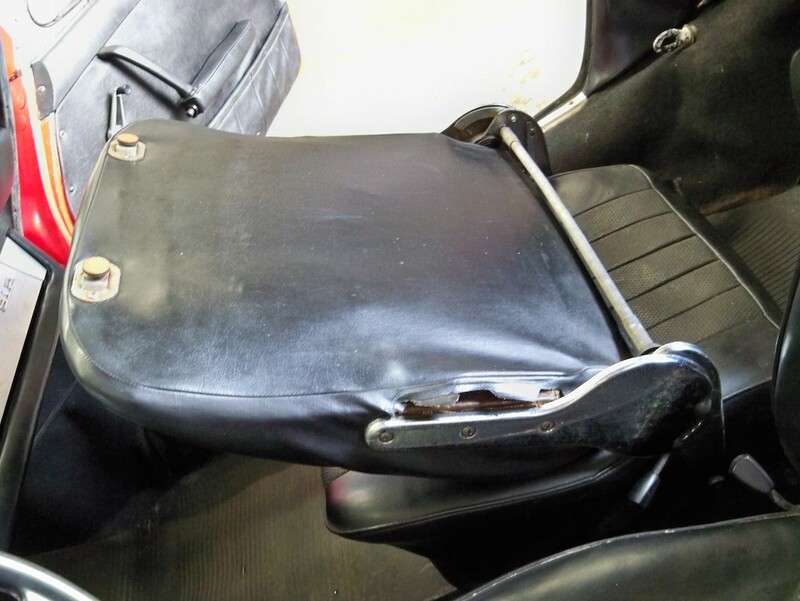 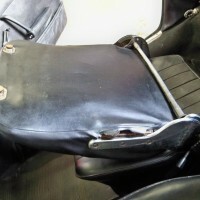 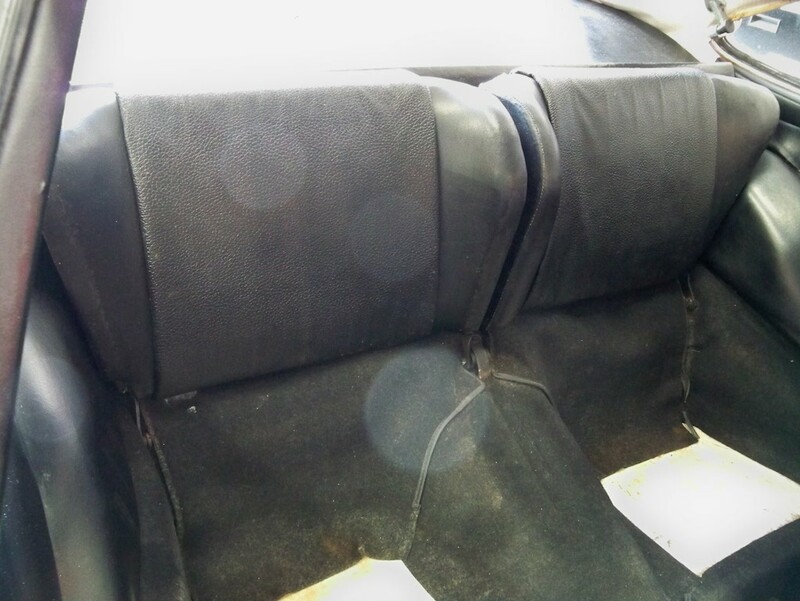 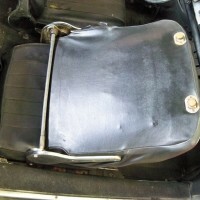 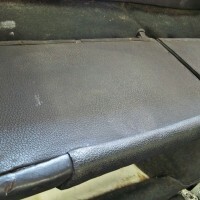 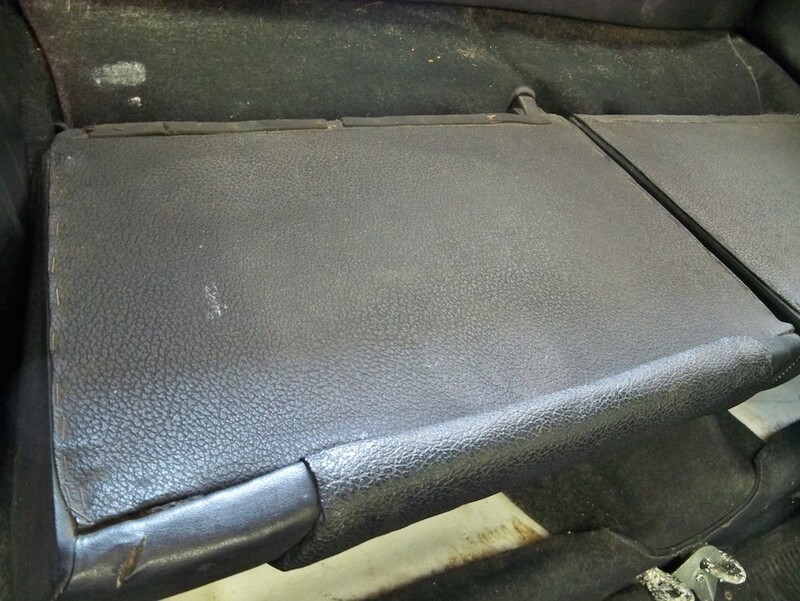 The rear seat backs are original elephant hide vinyl. 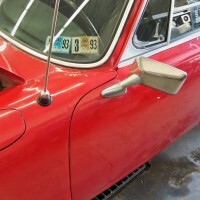 The car is mostly complete. 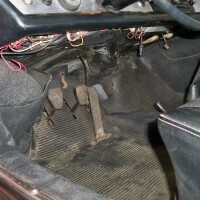 It does not have a tool kit or owners manual, and is missing the left front turn signal assembly.